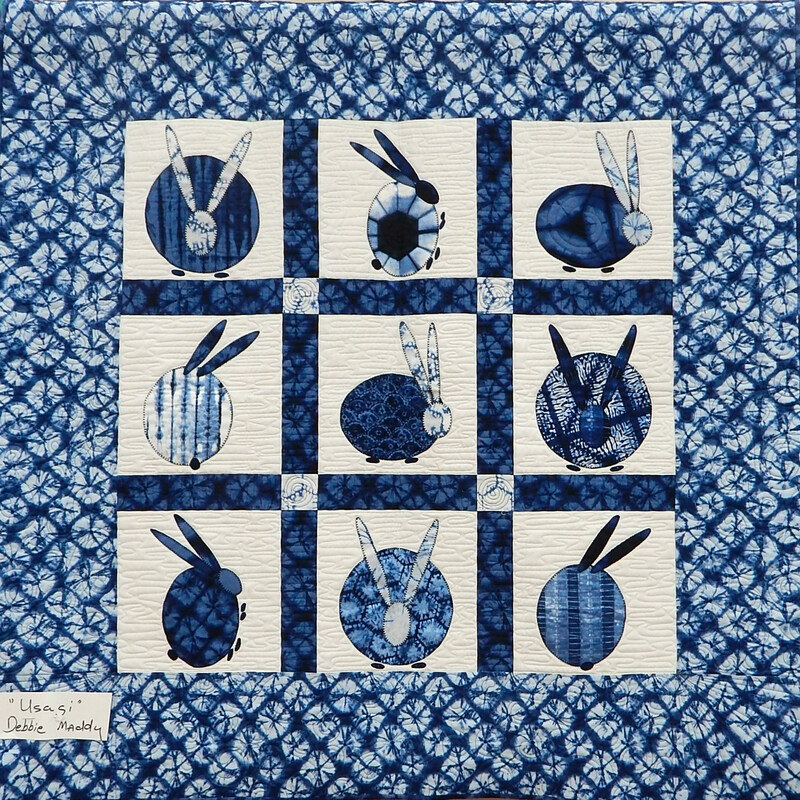 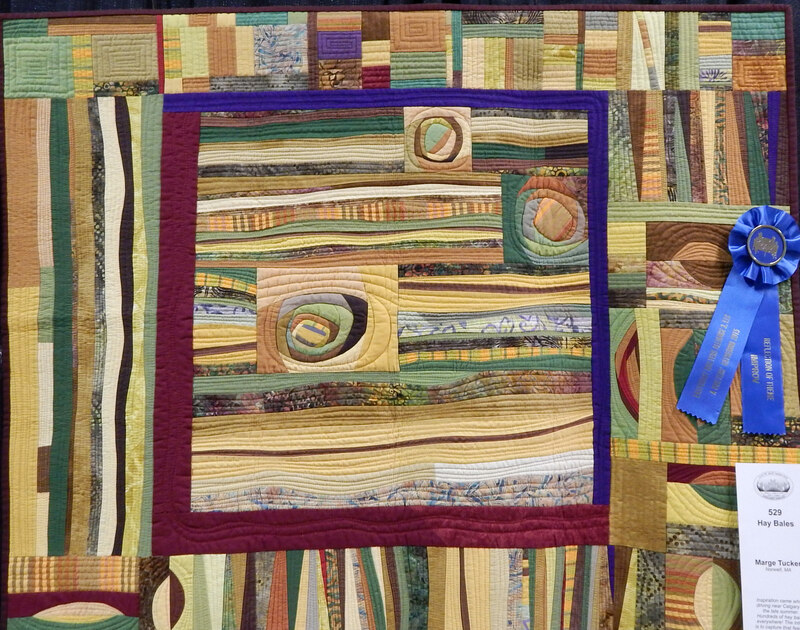 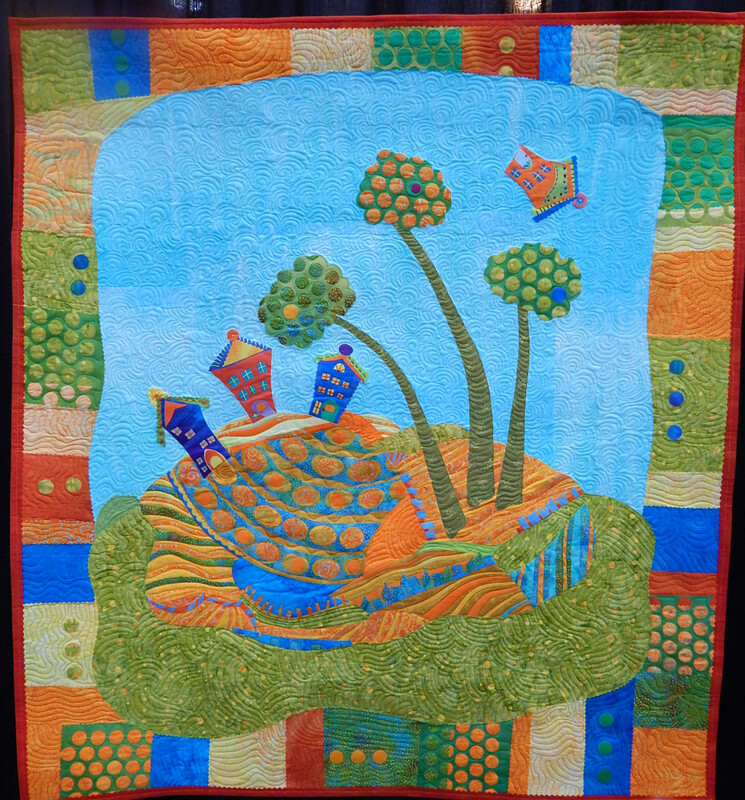 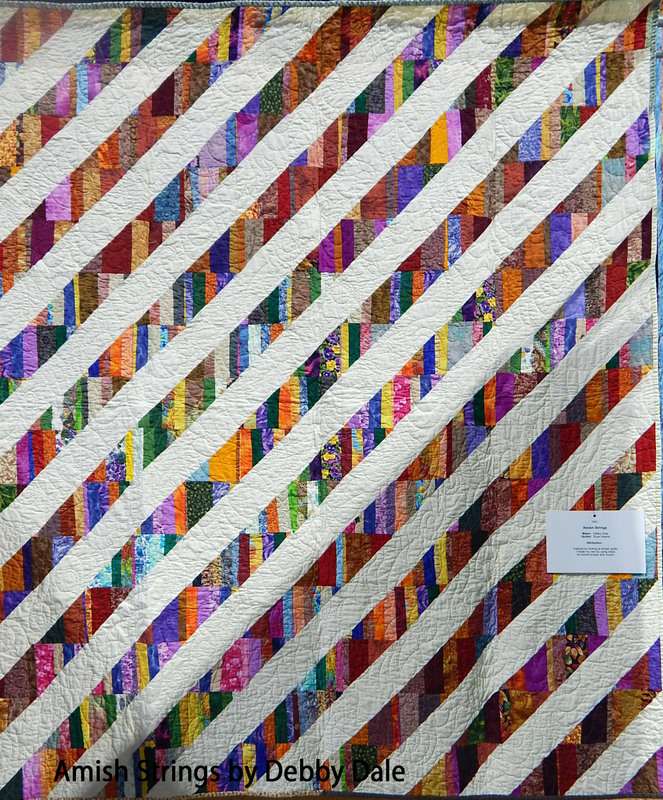 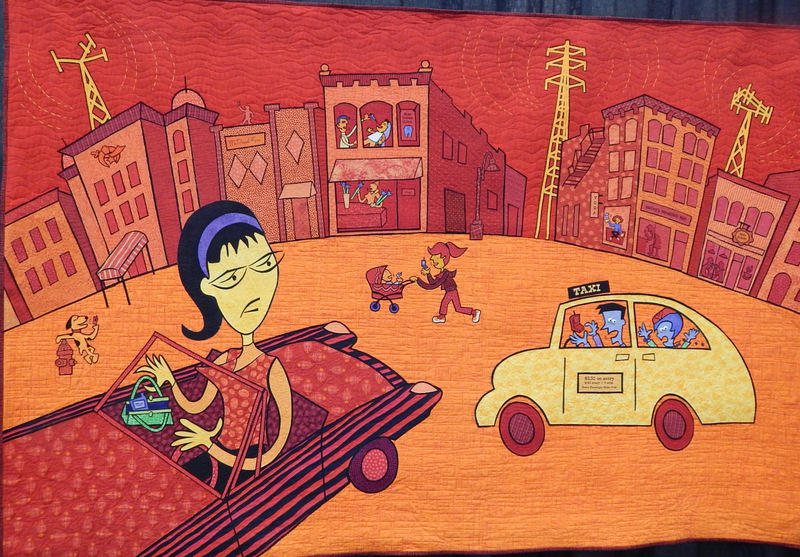 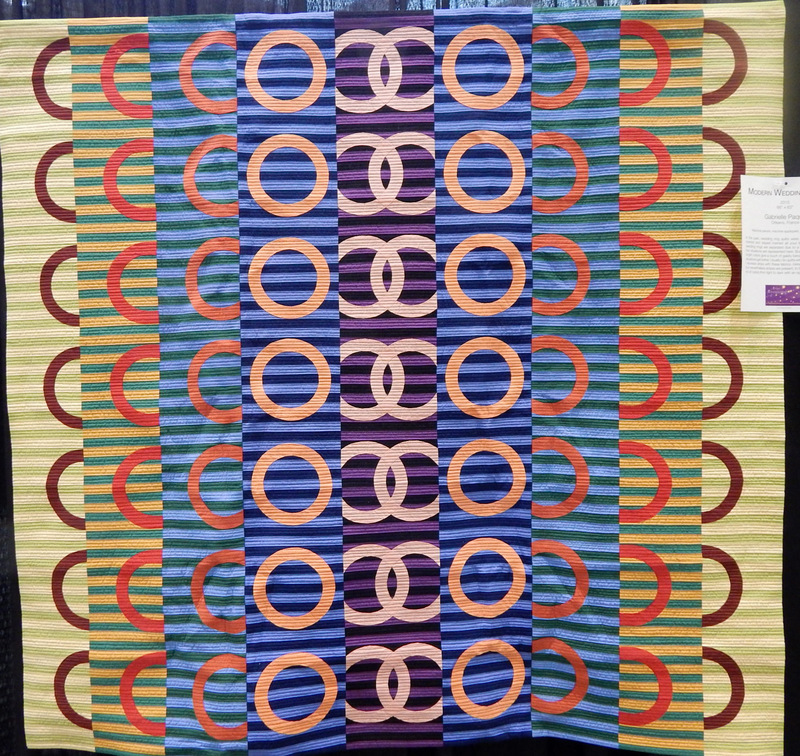 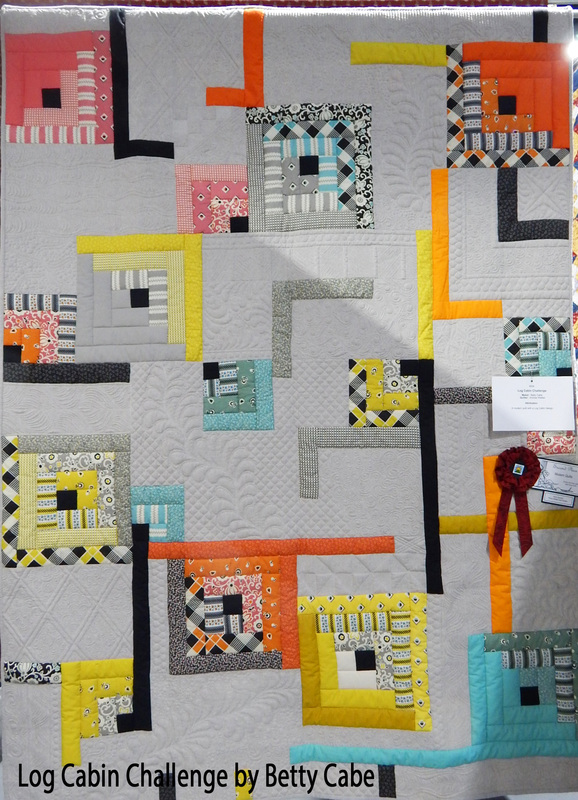 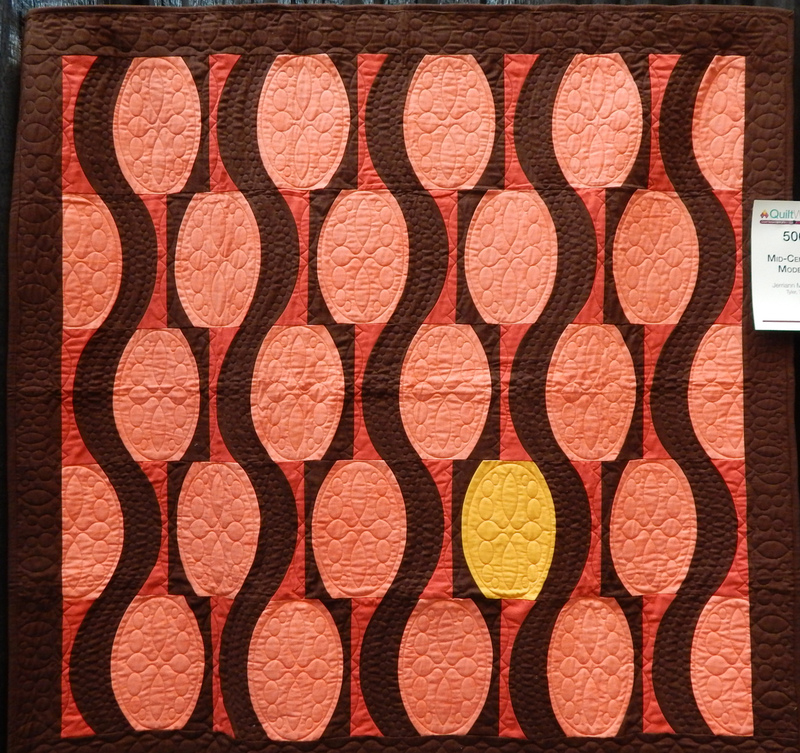 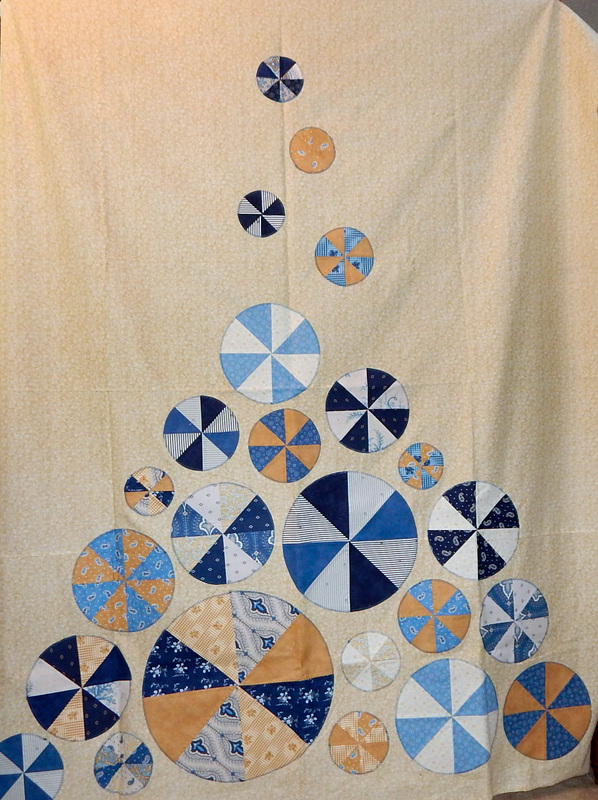 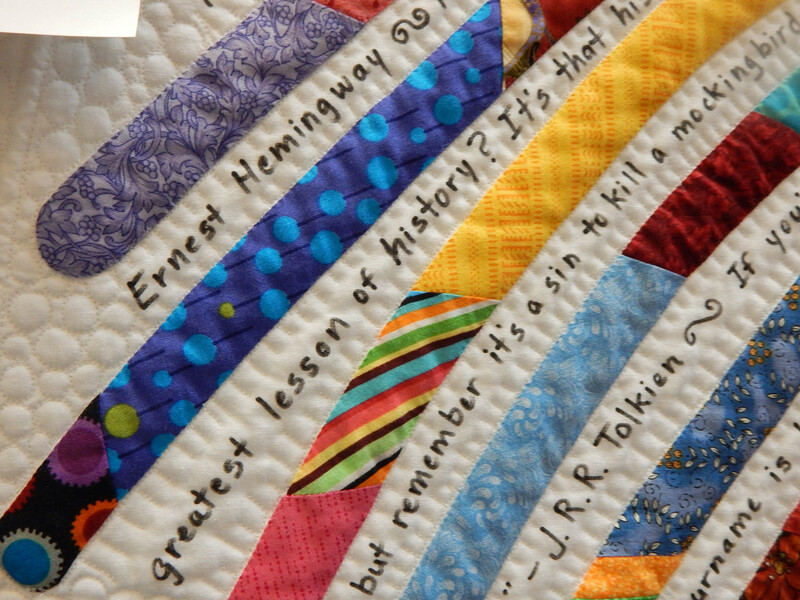 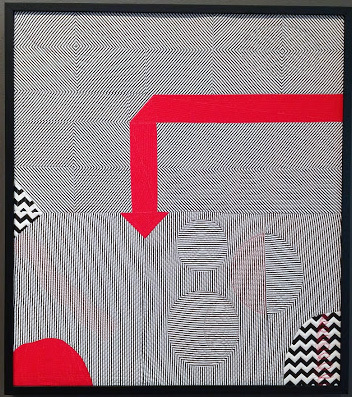 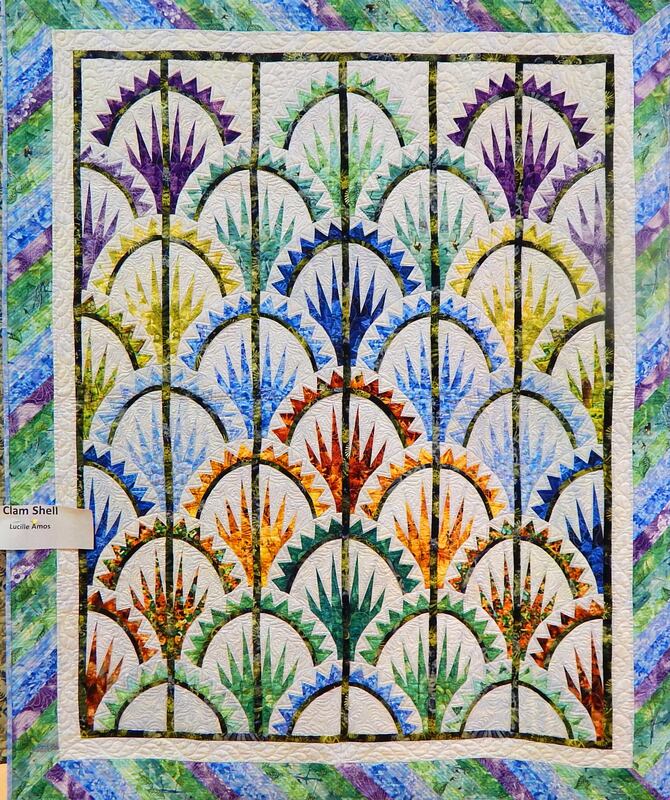 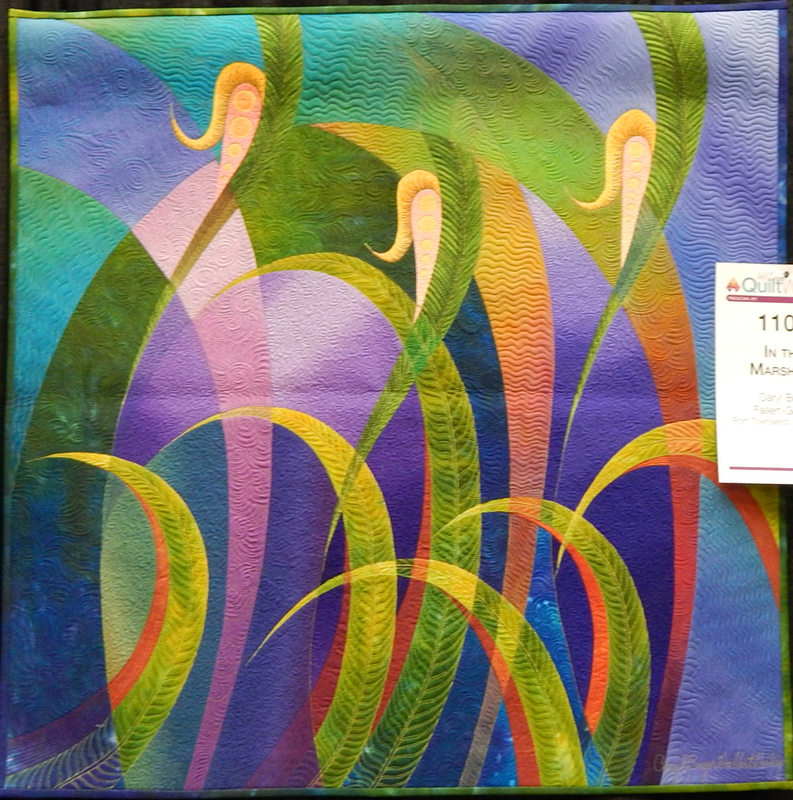 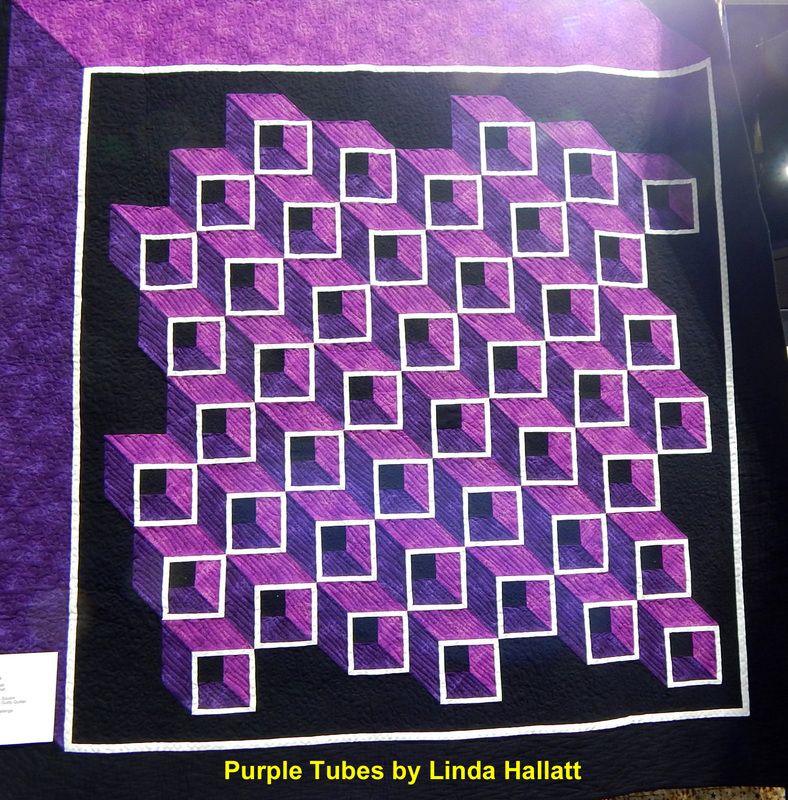 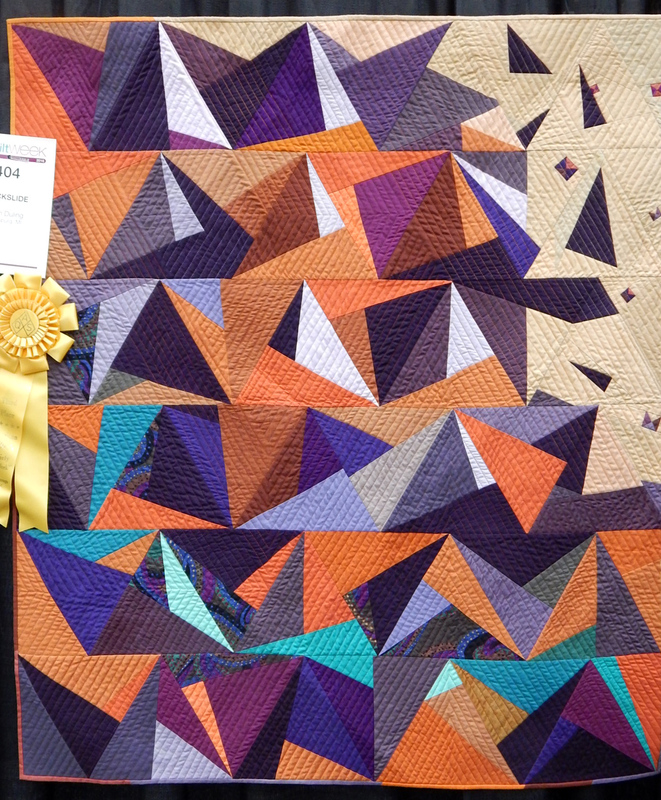 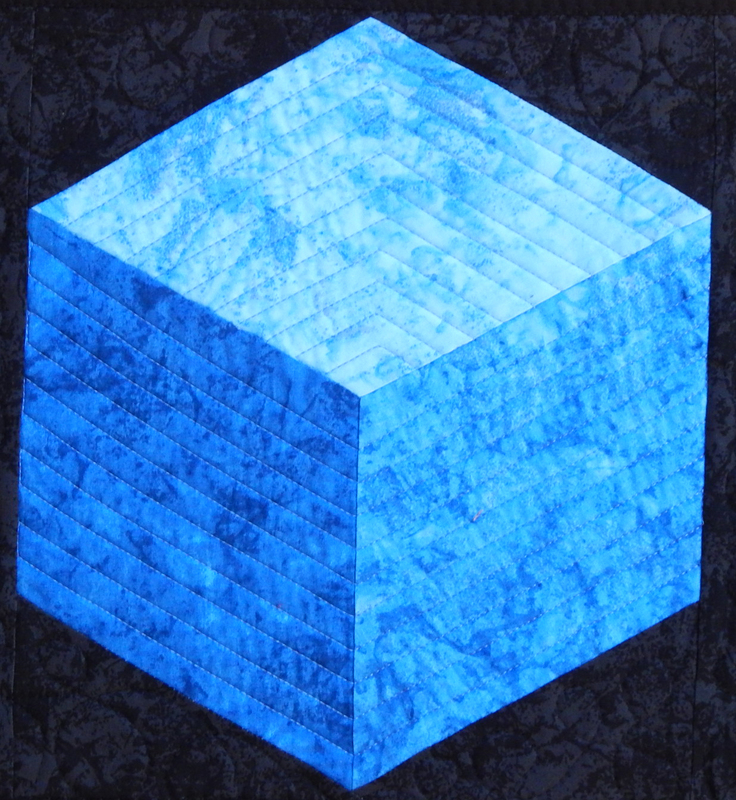 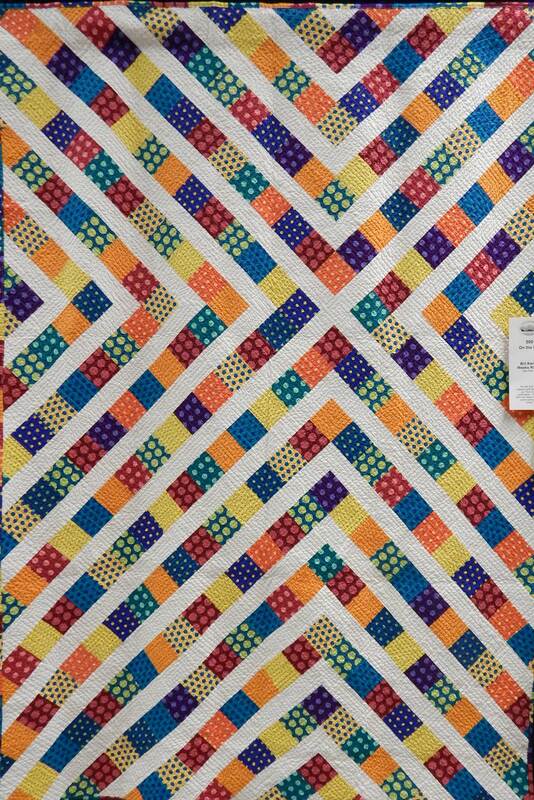 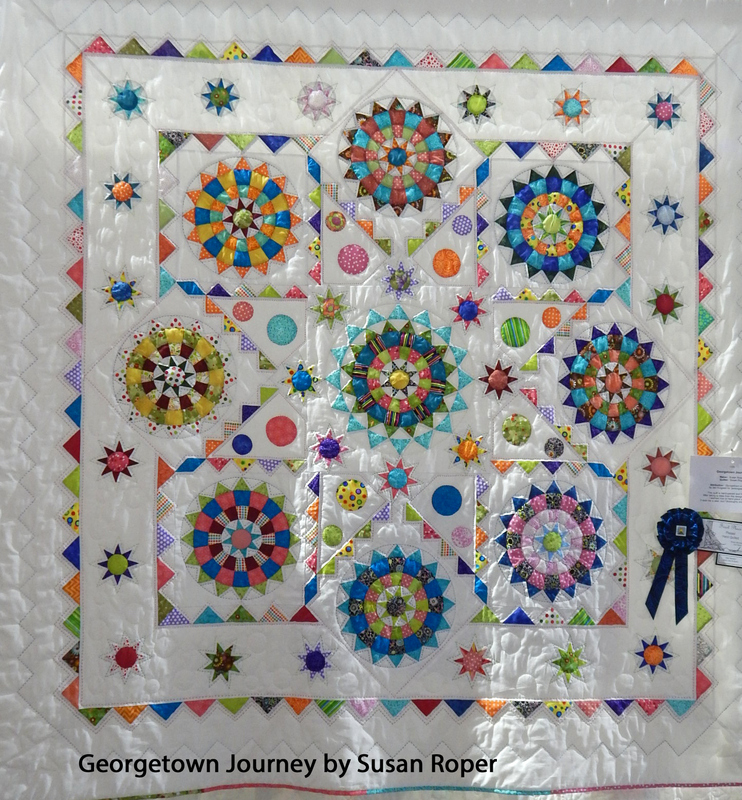 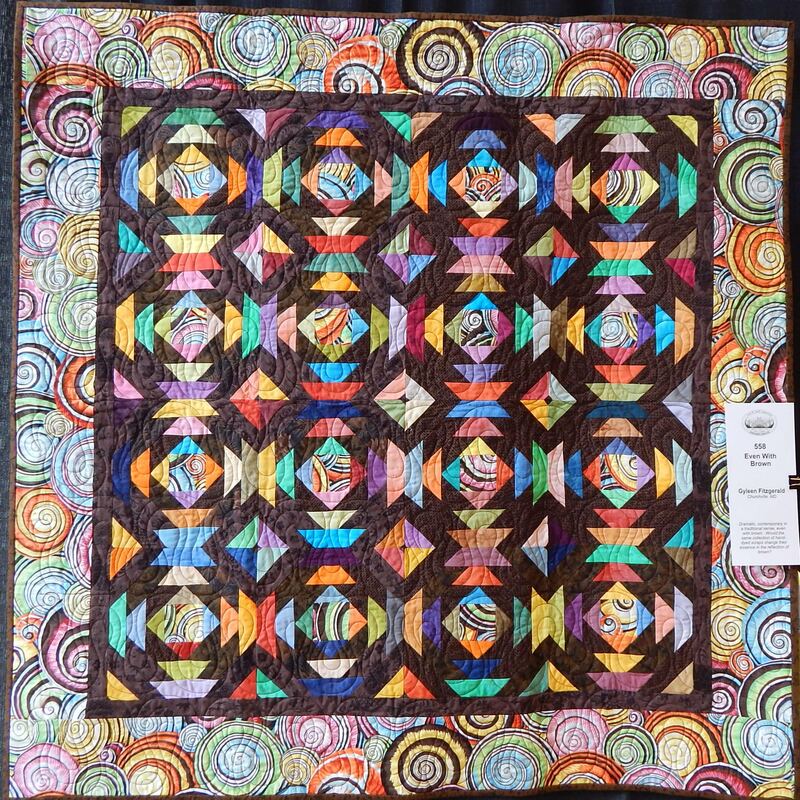 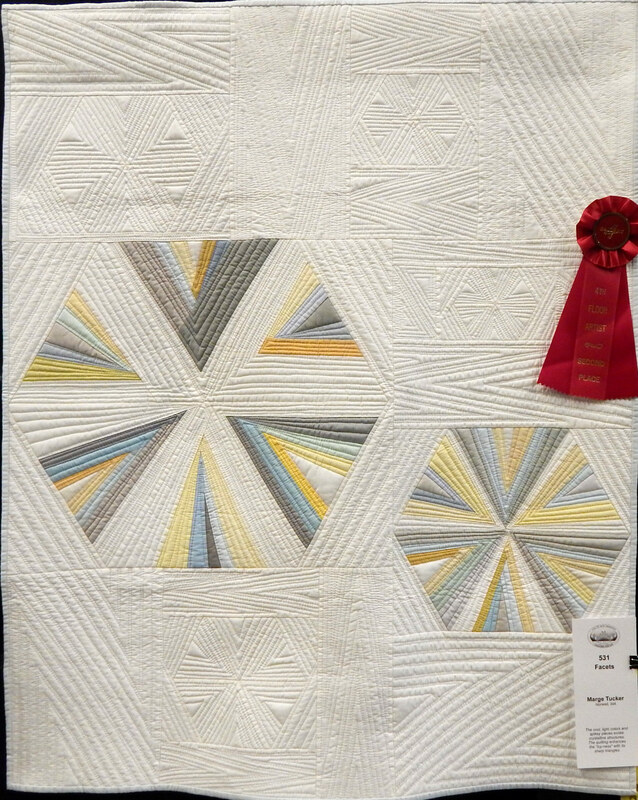 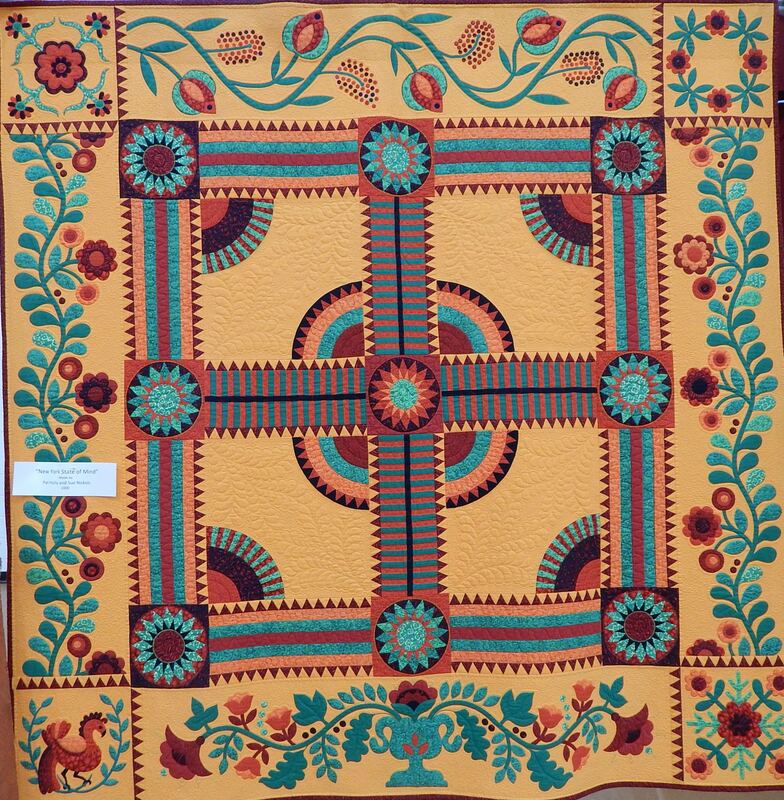 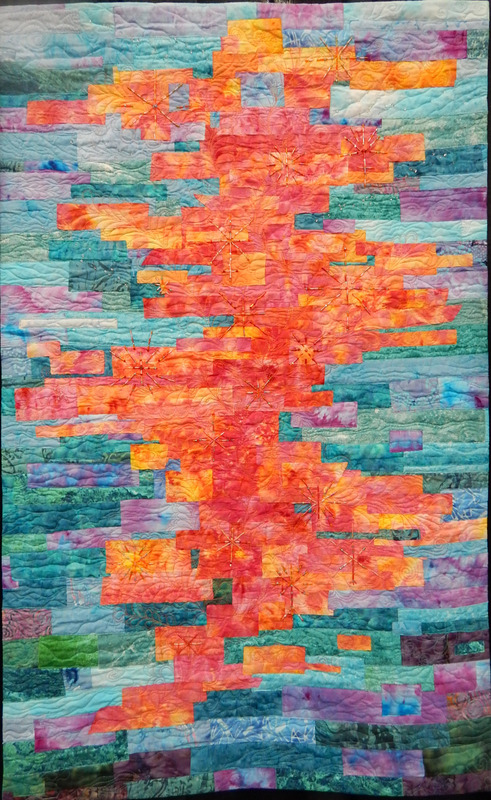 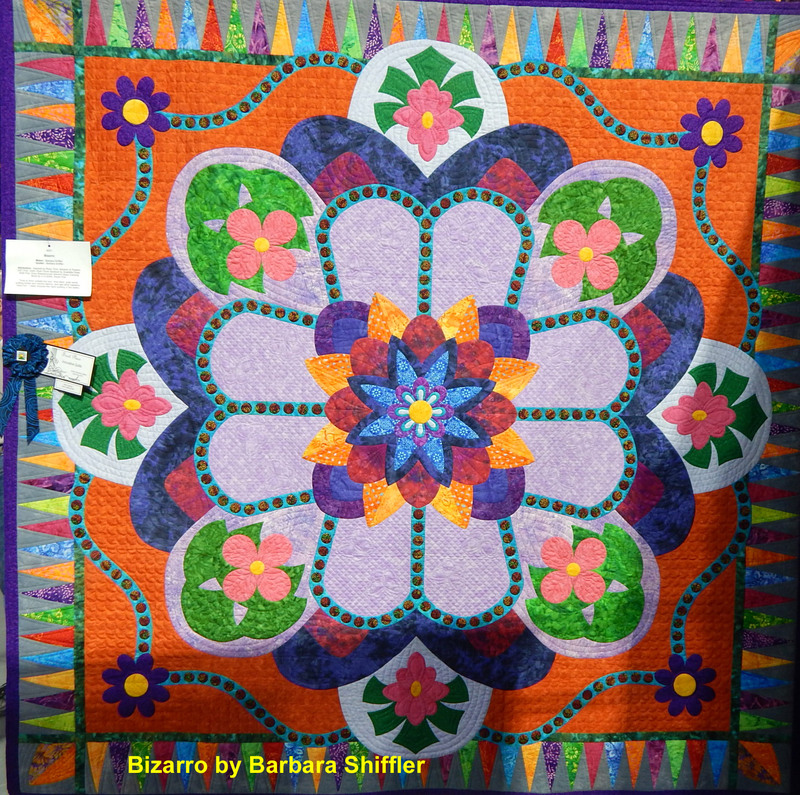 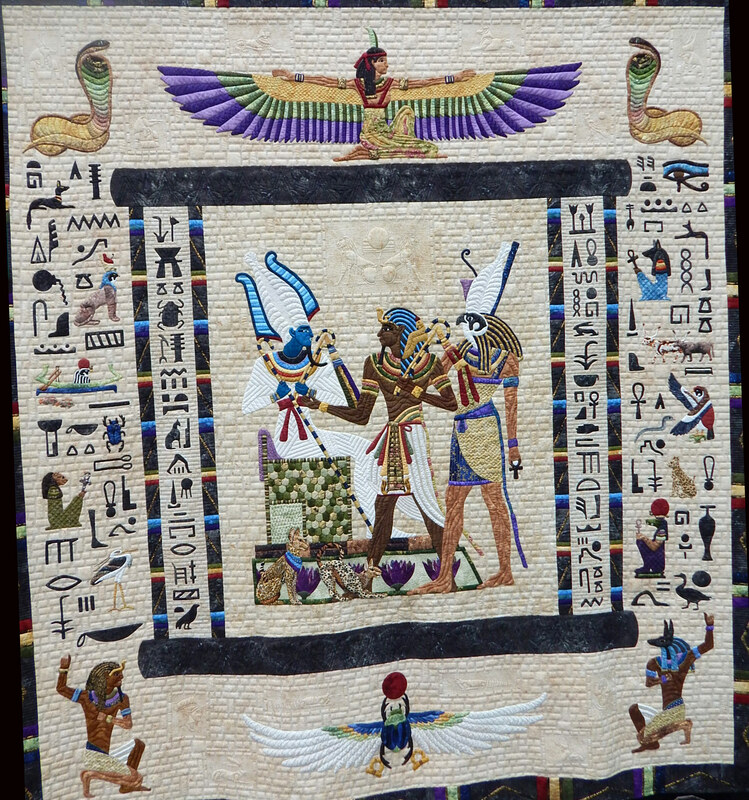 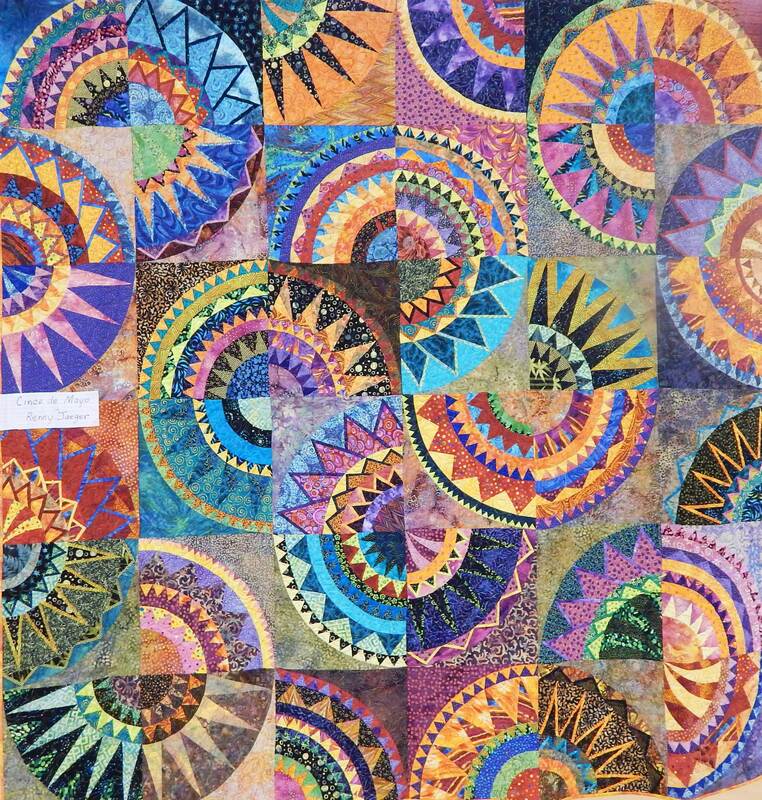 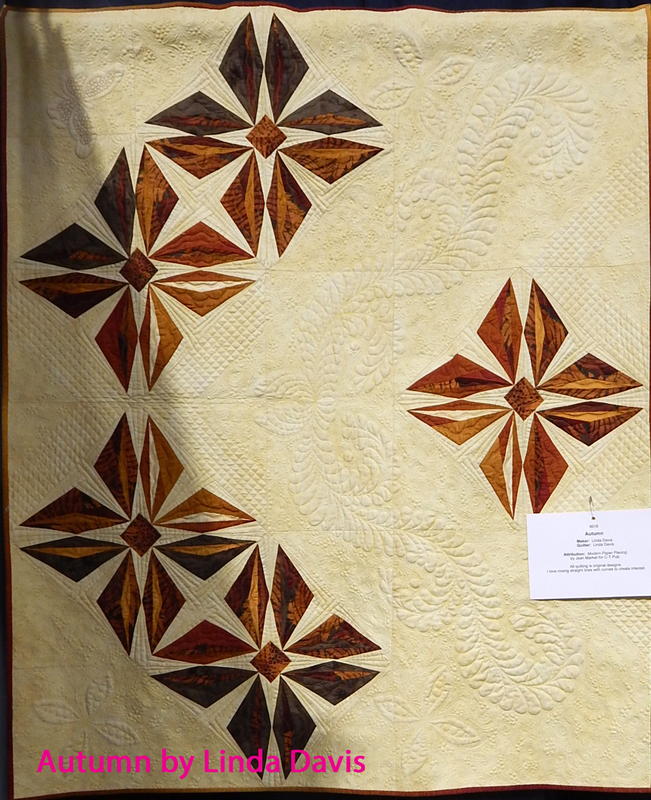 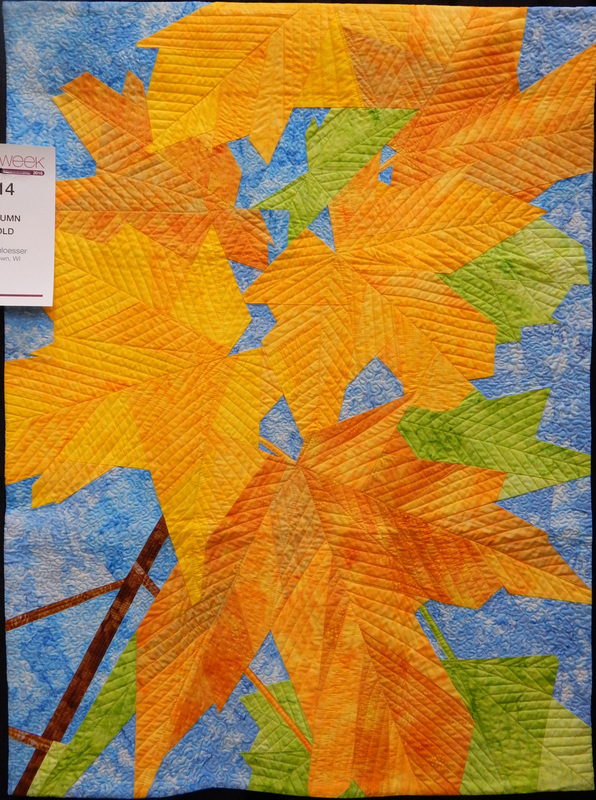 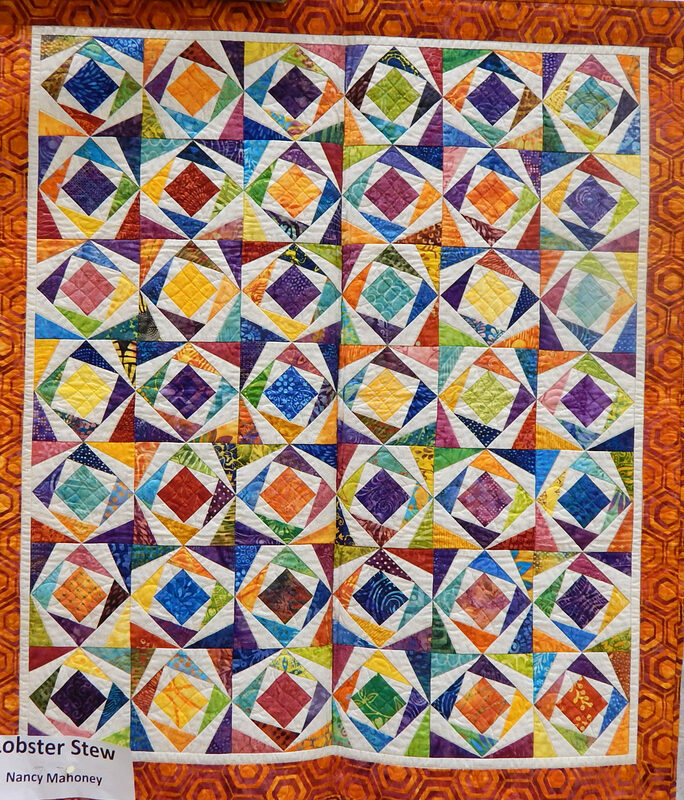 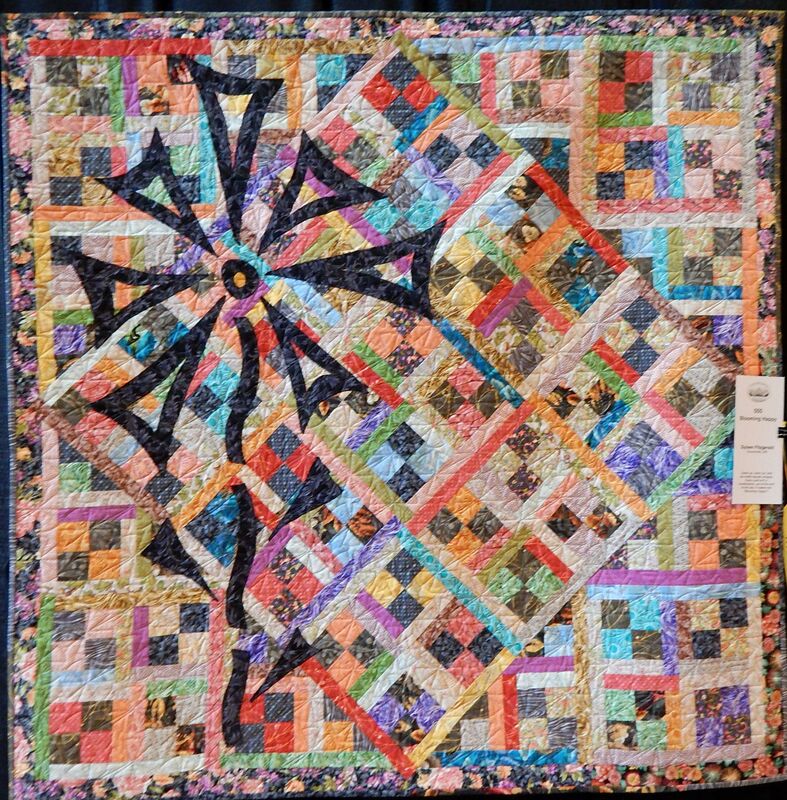 One of my local guilds had their biennial show recently, so of course I have many pictures of the quilts. 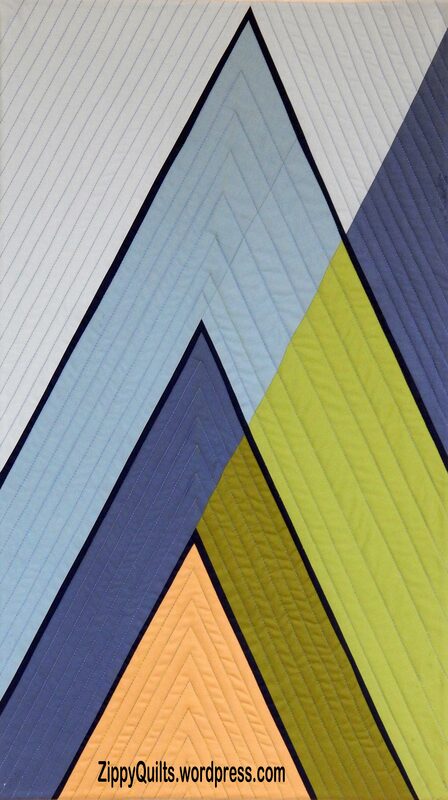 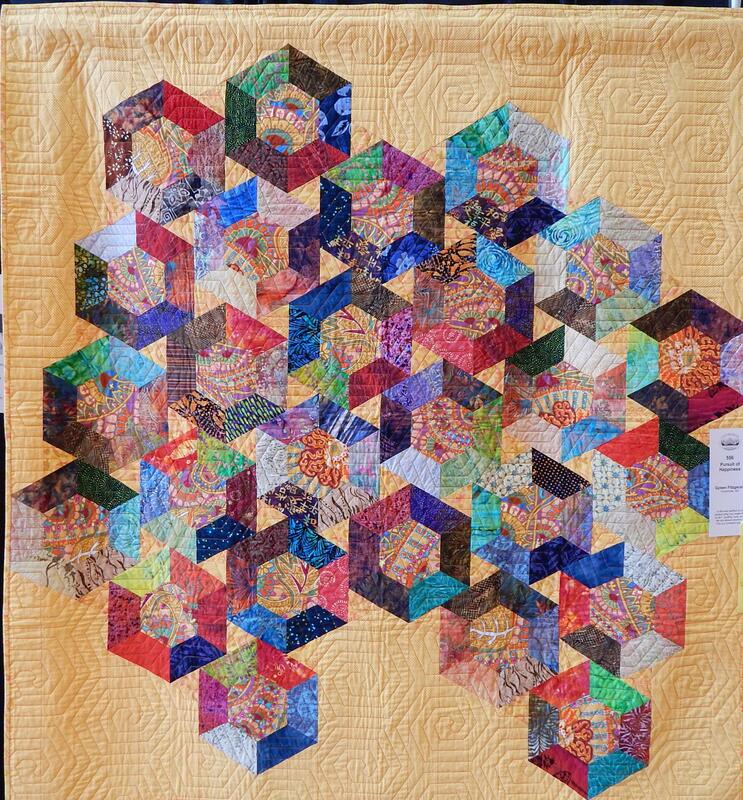 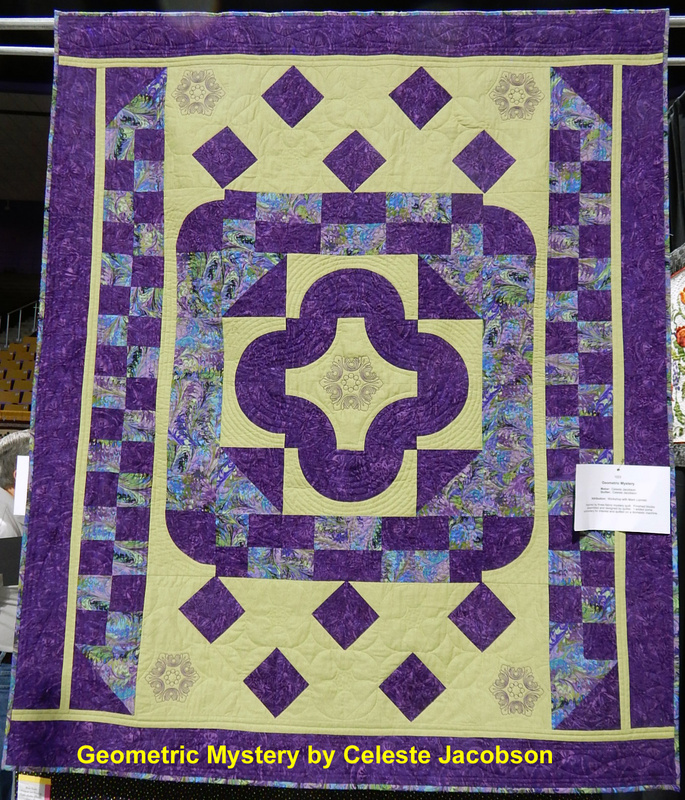 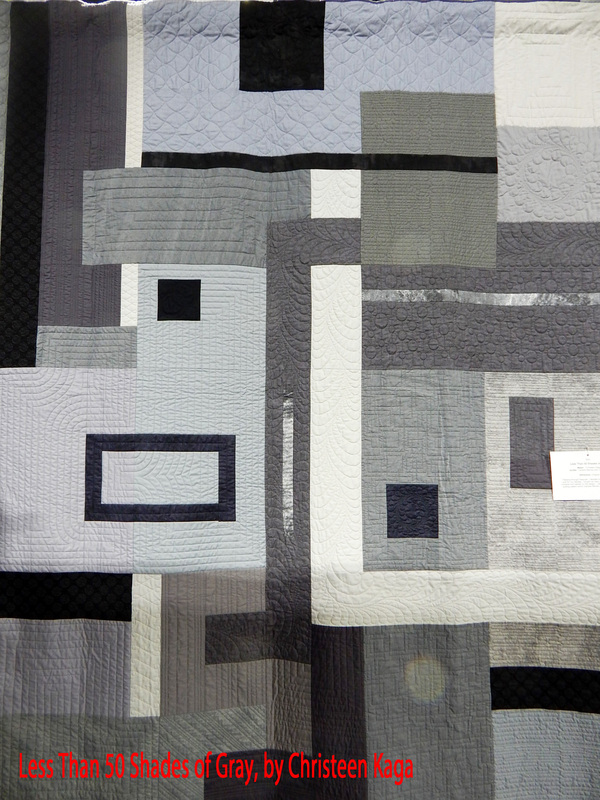 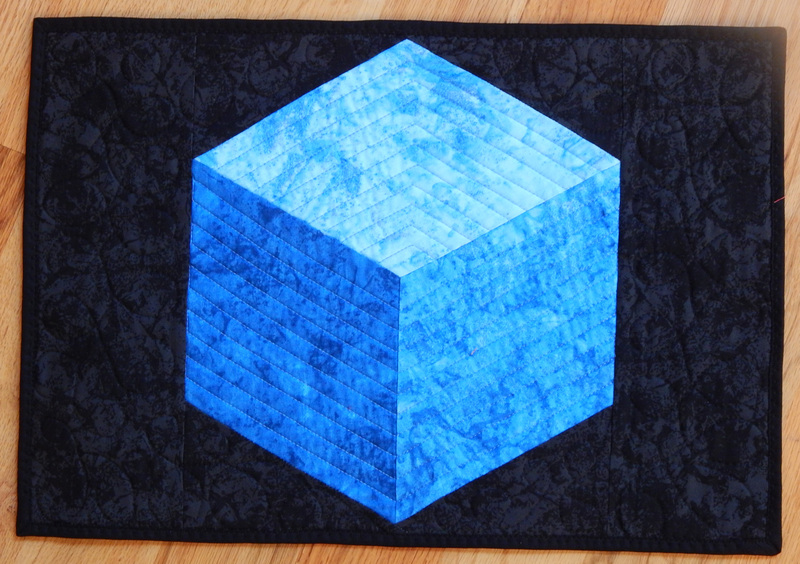 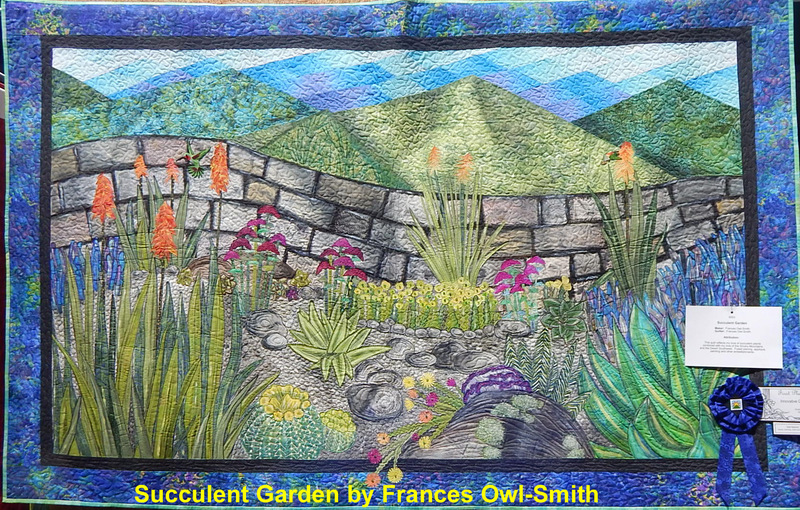 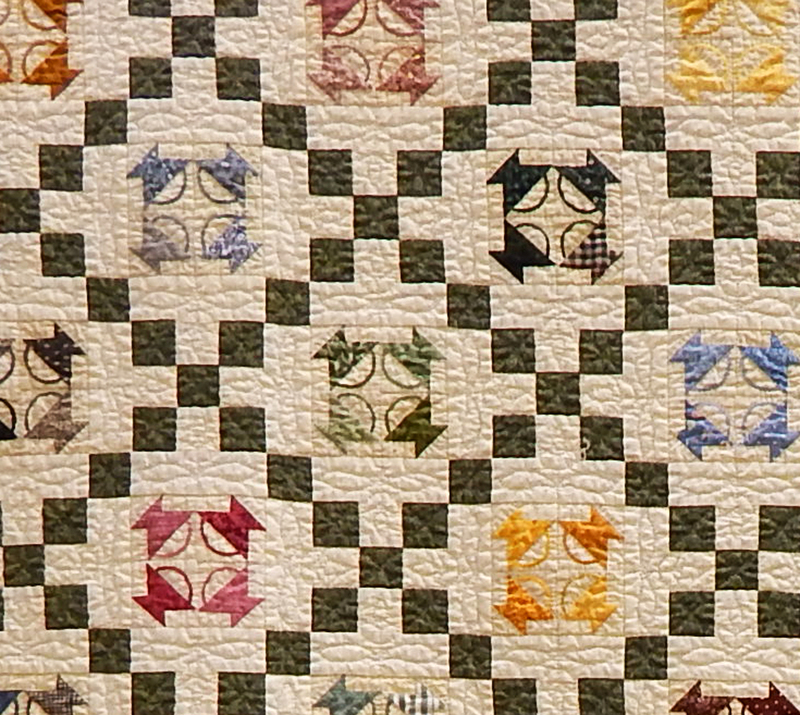 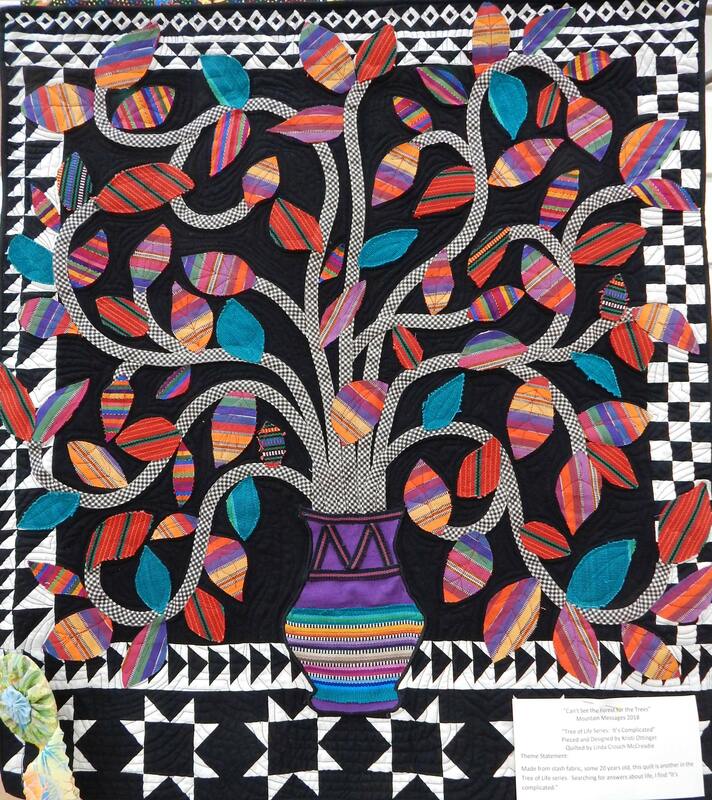 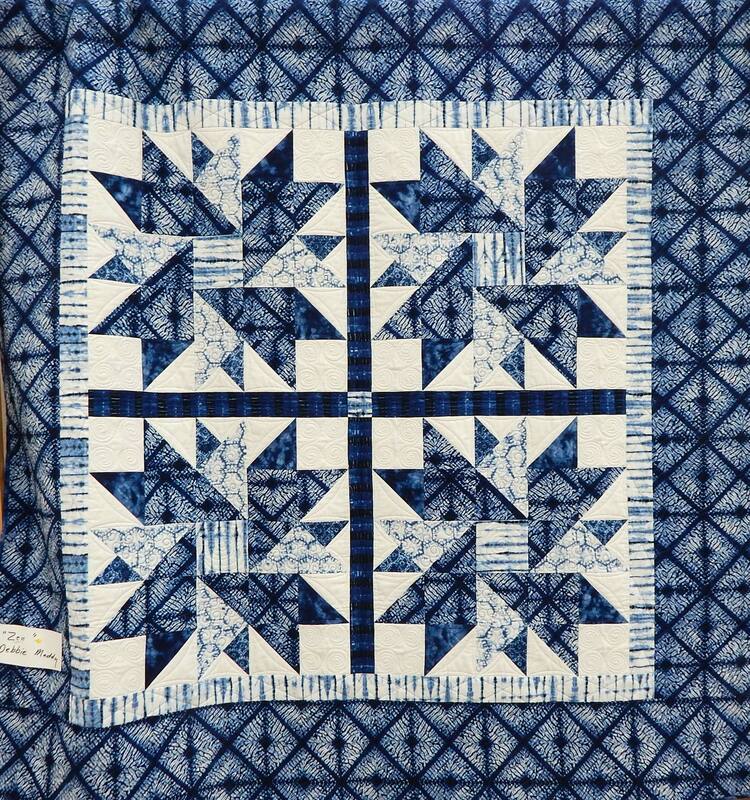 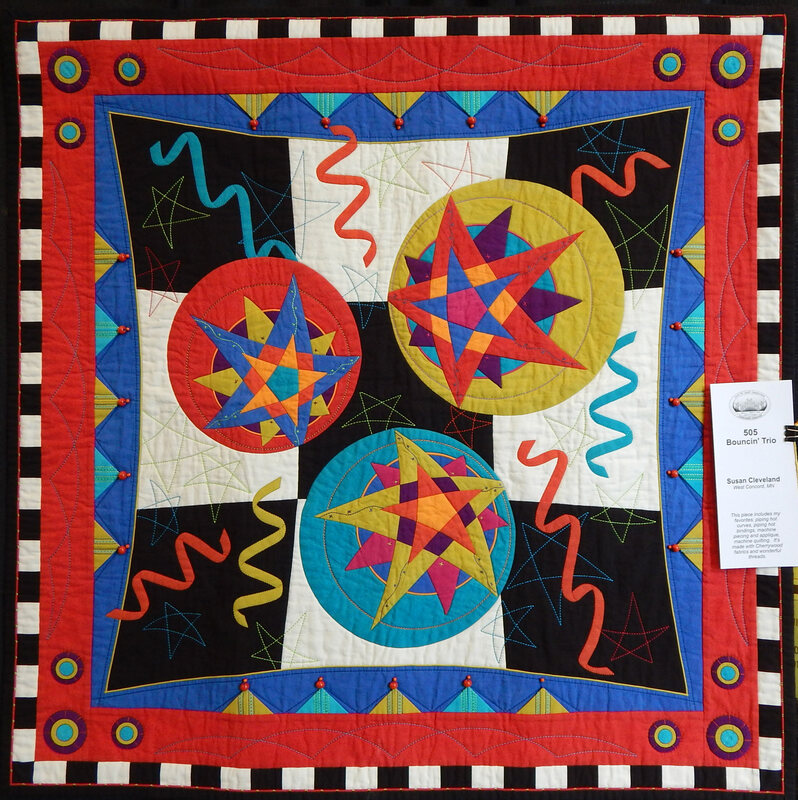 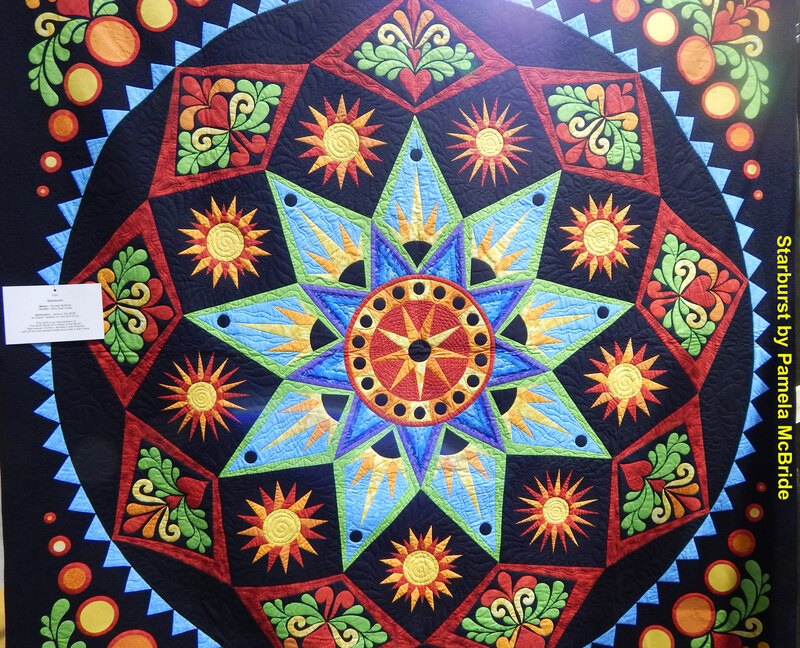 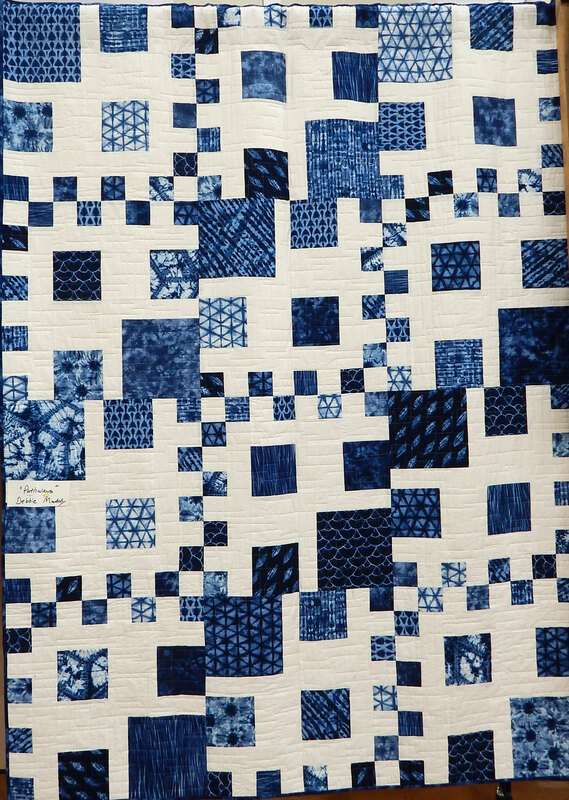 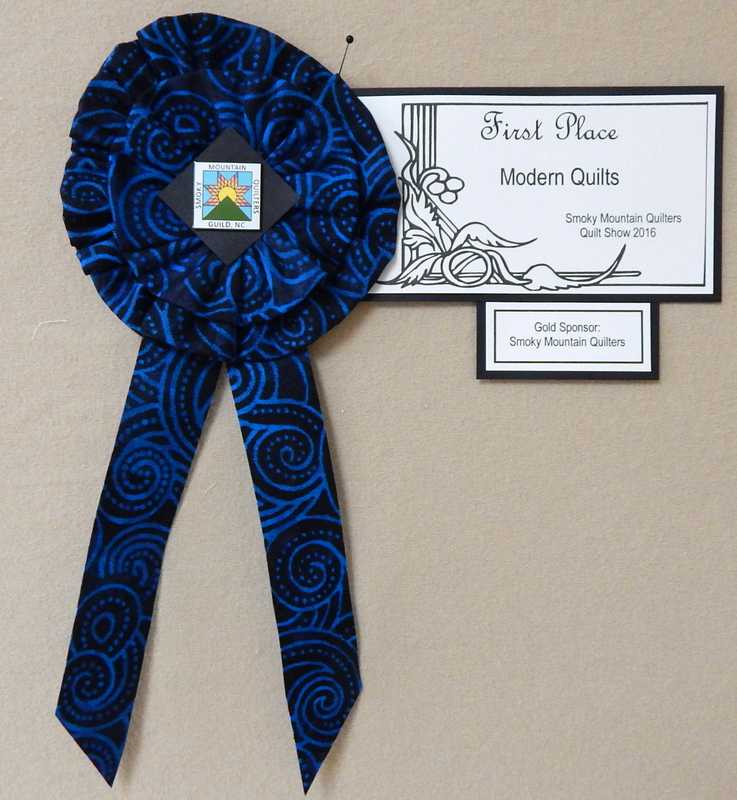 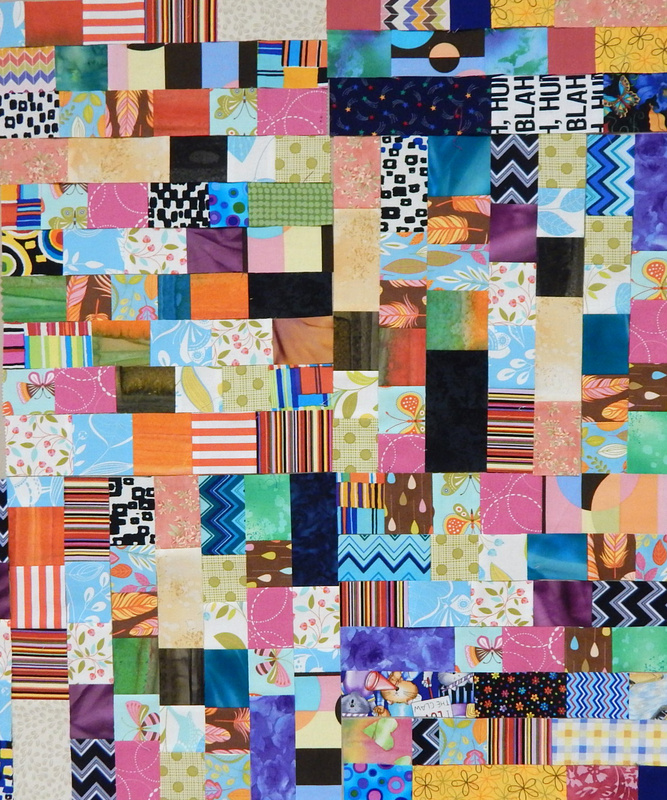 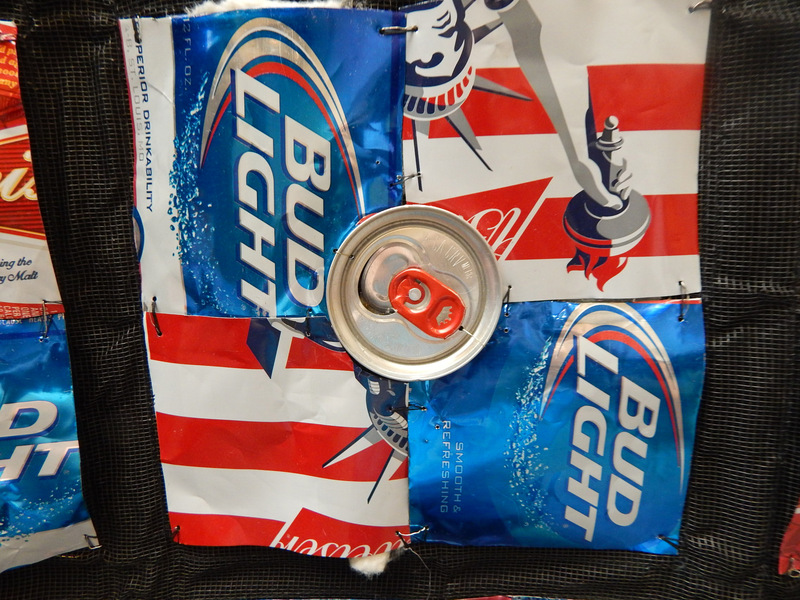 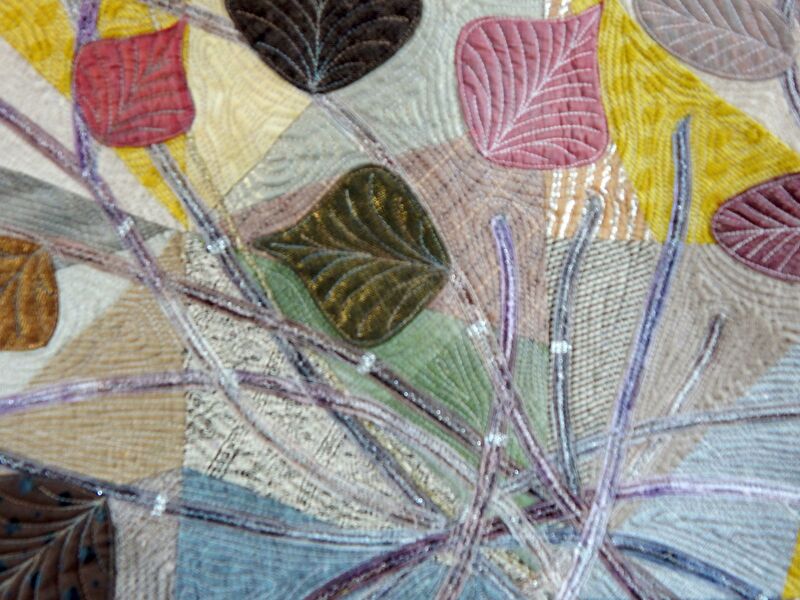 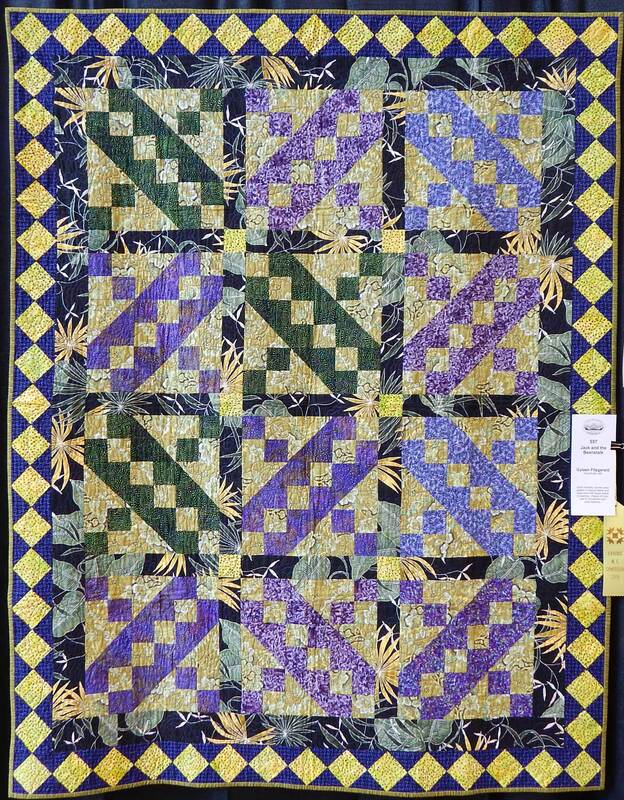 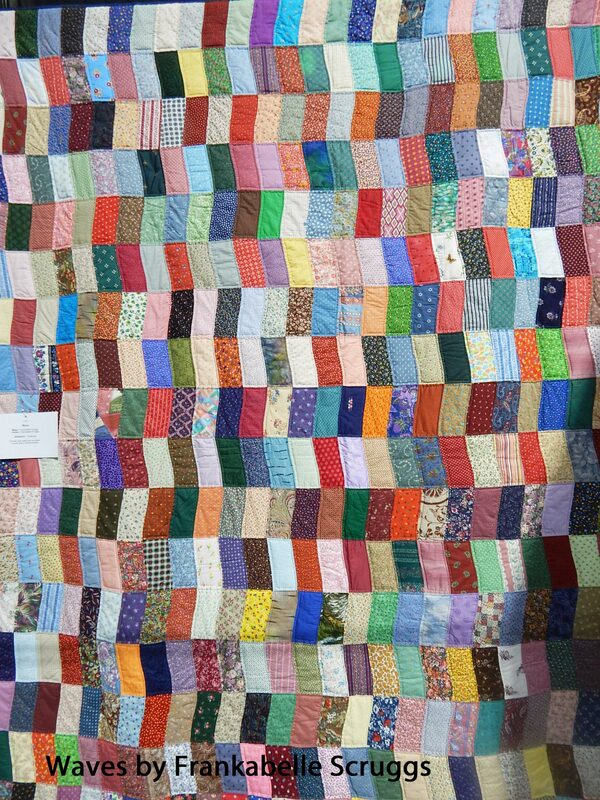 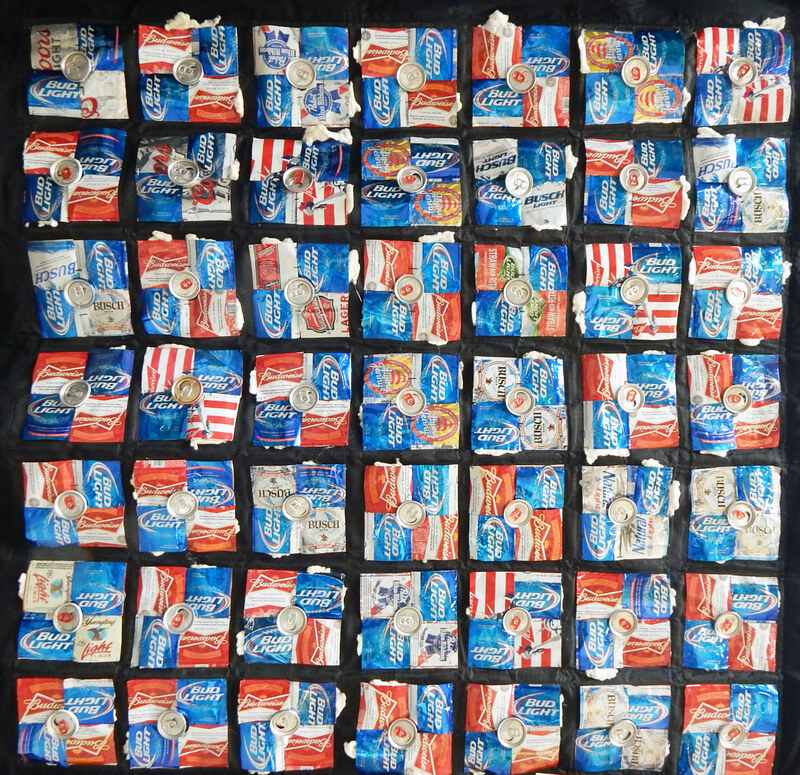 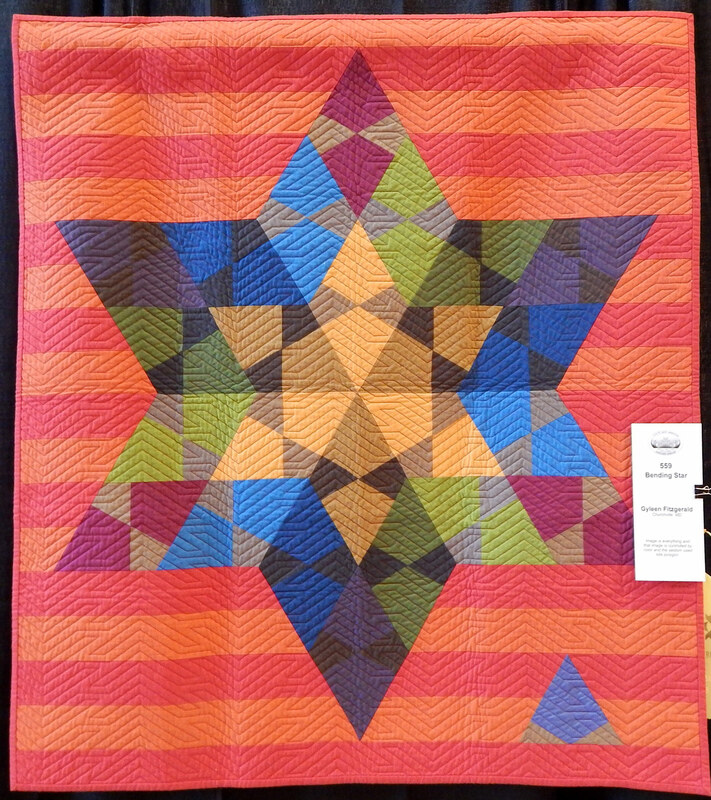 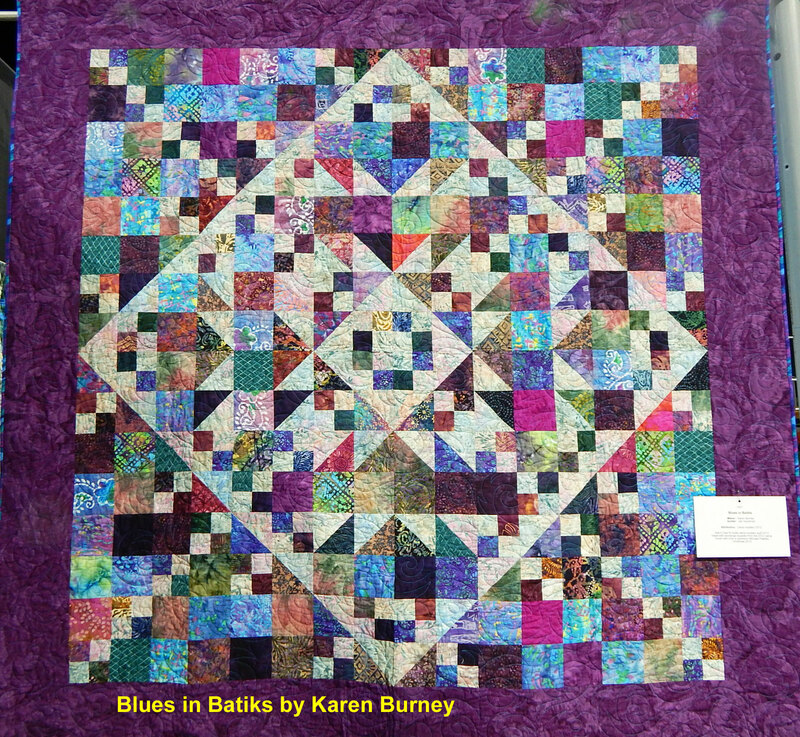 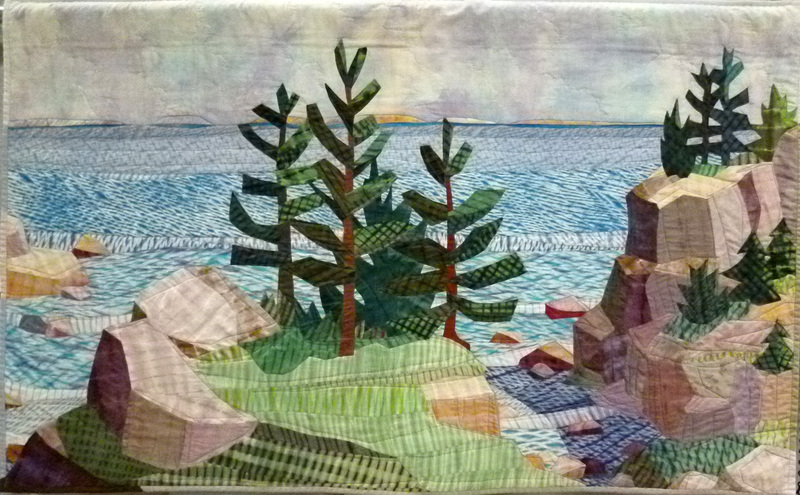 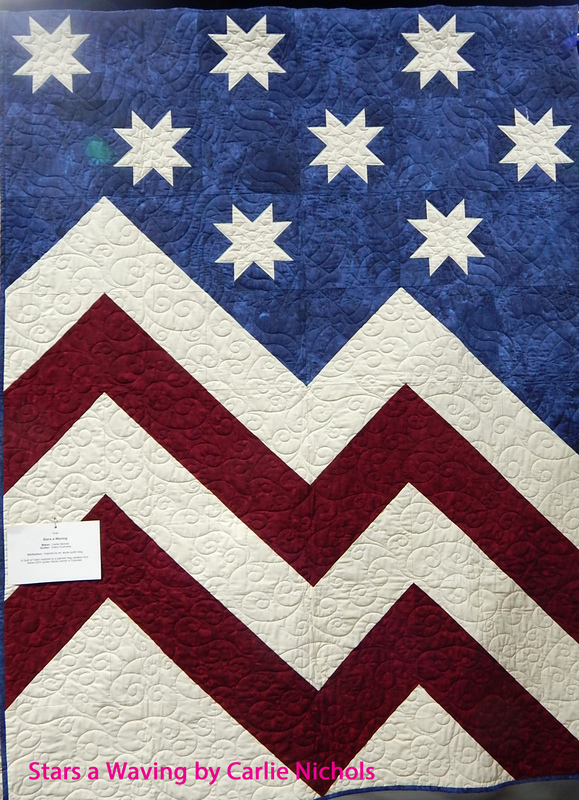 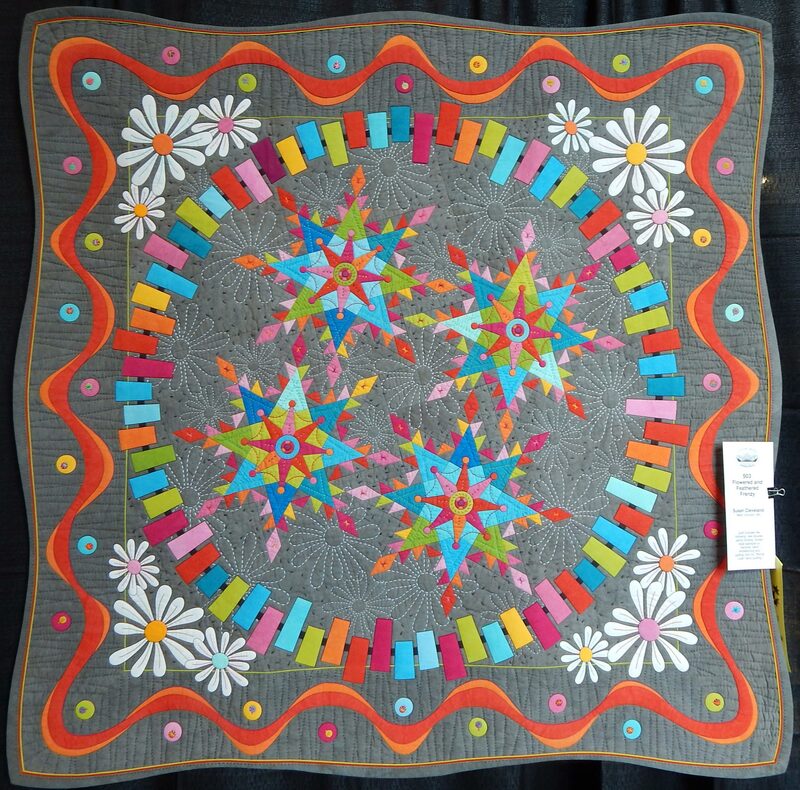 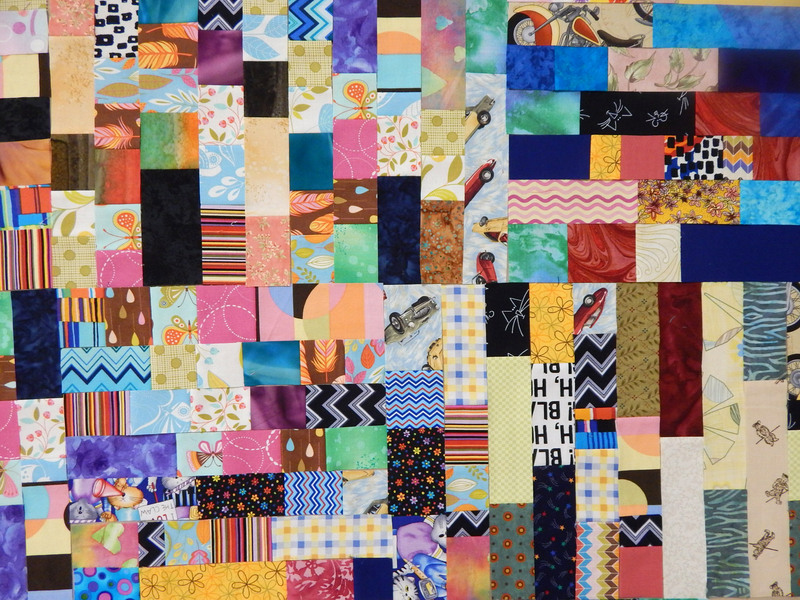 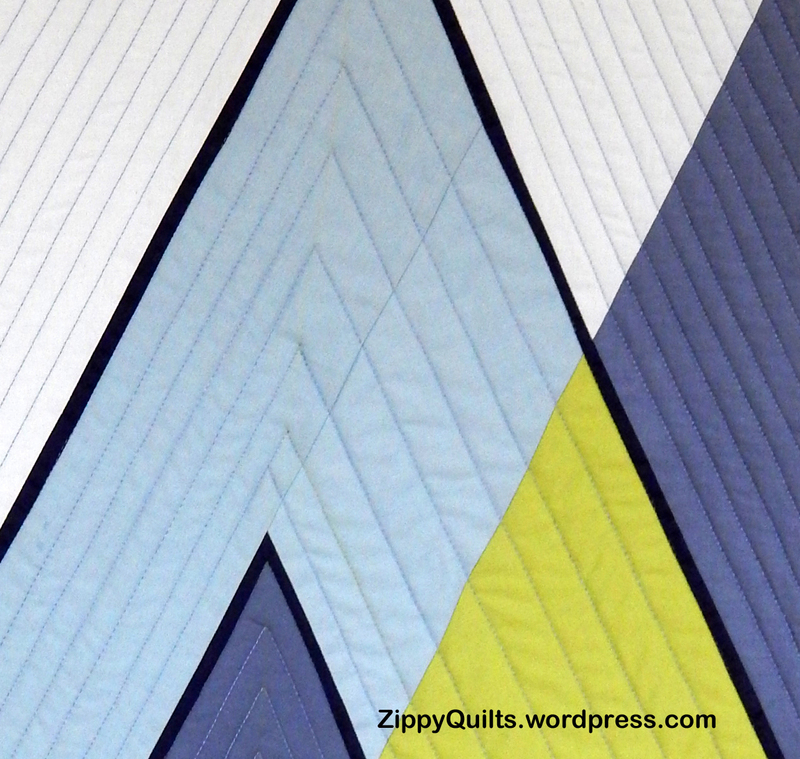 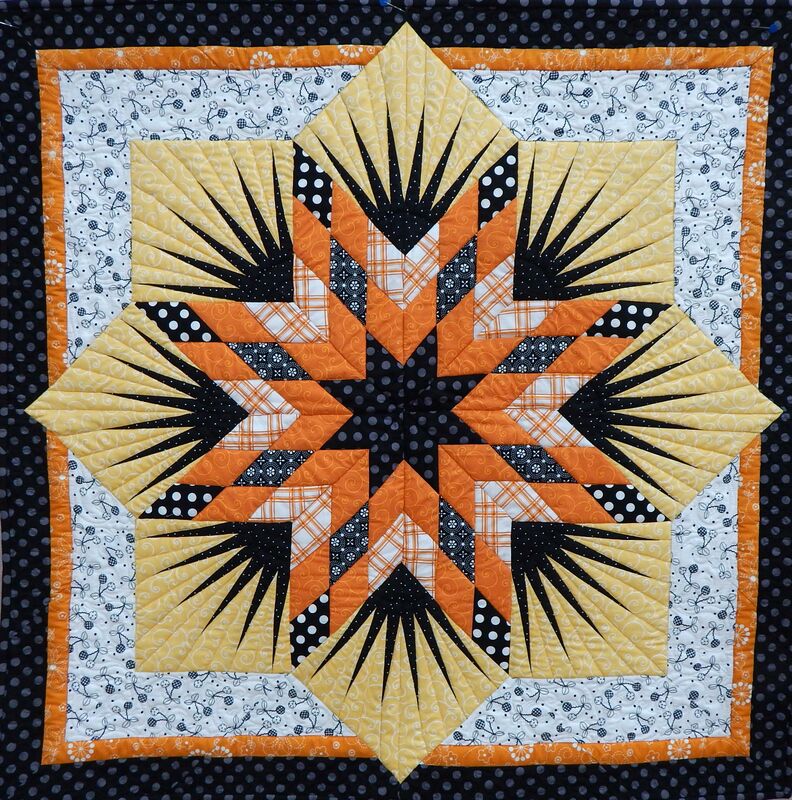 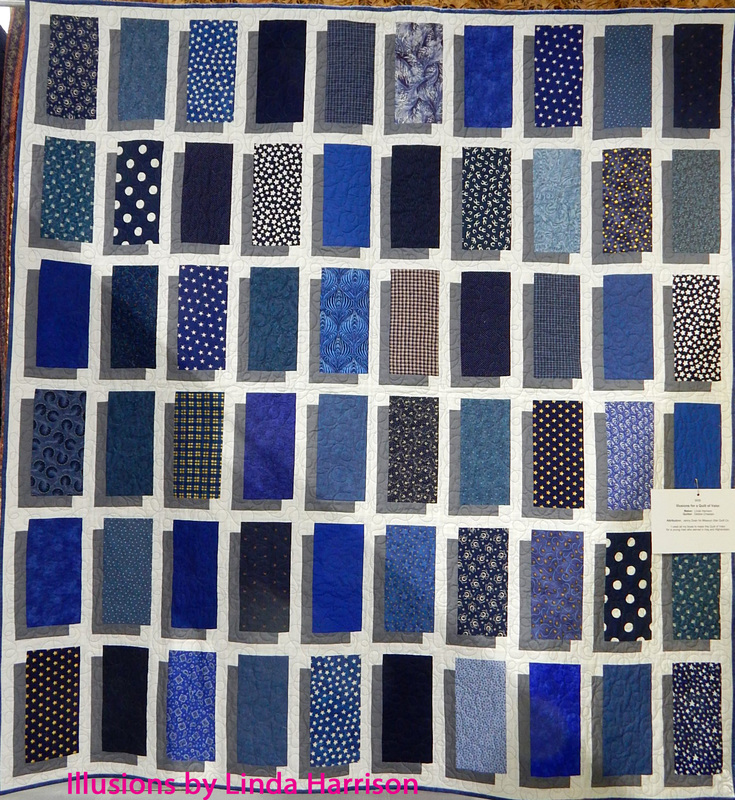 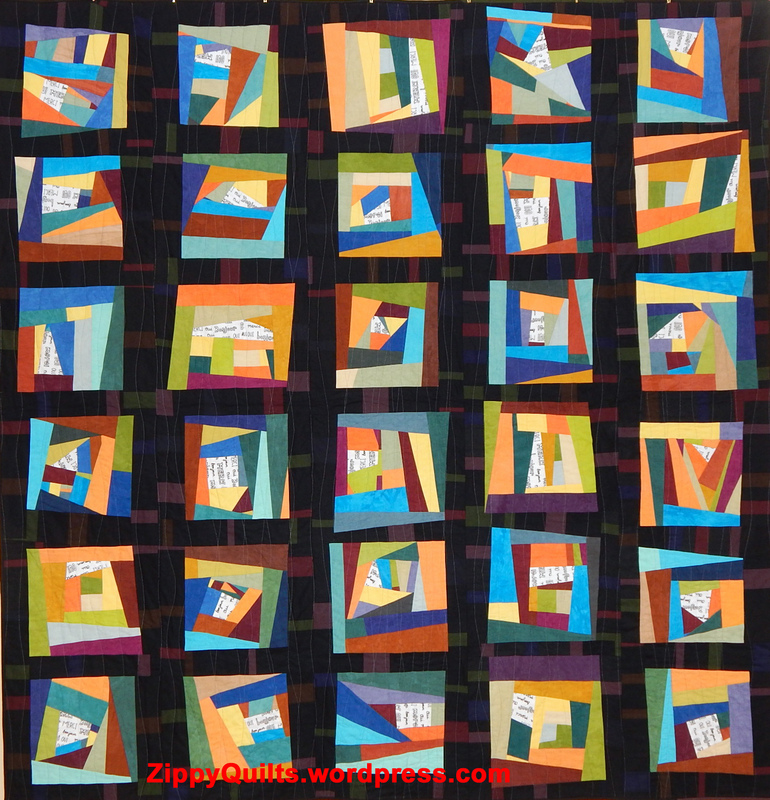 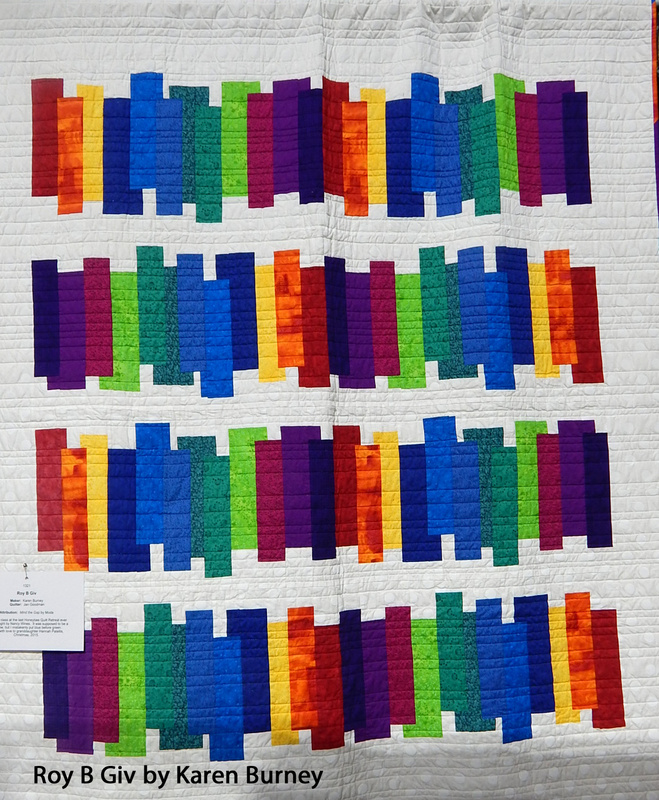 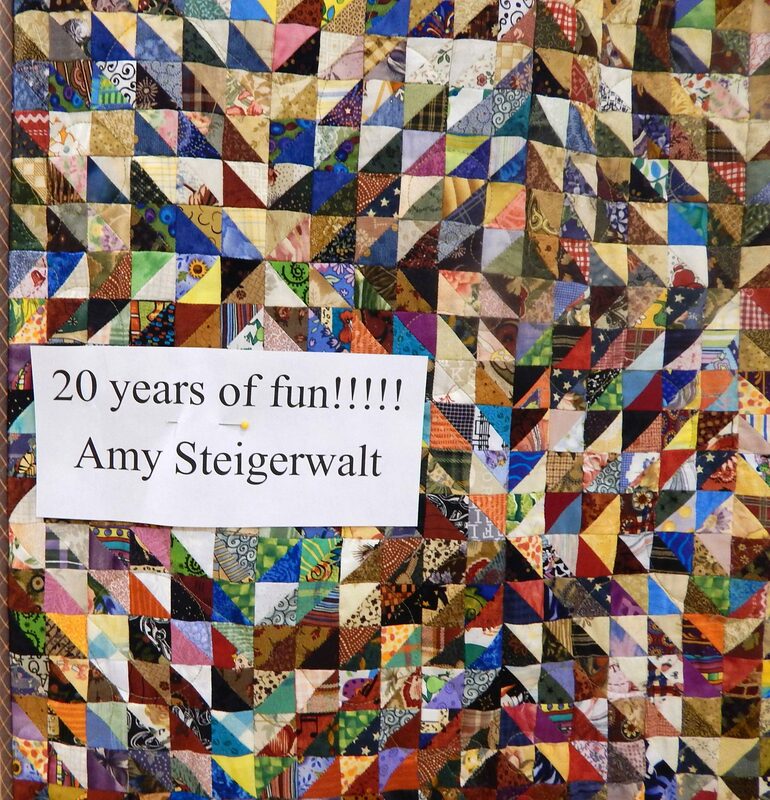 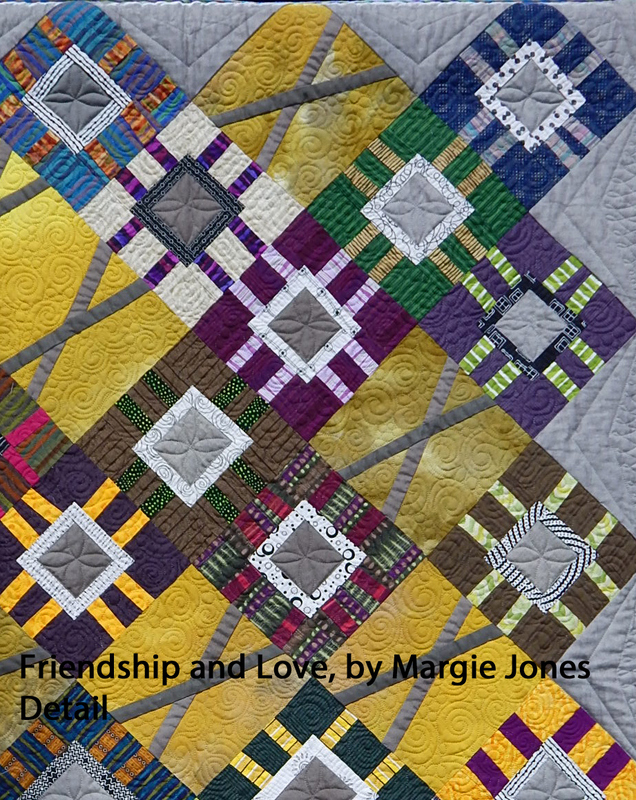 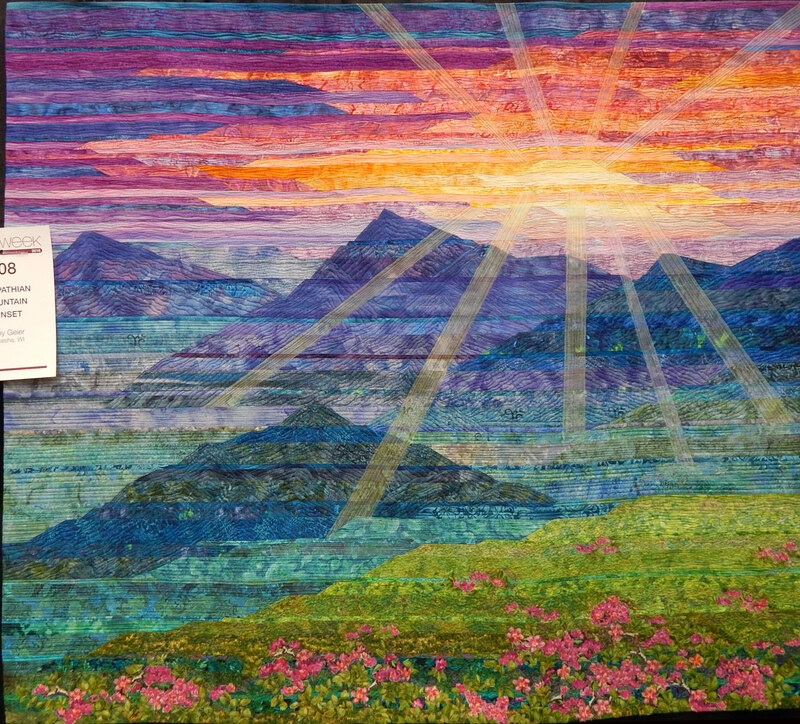 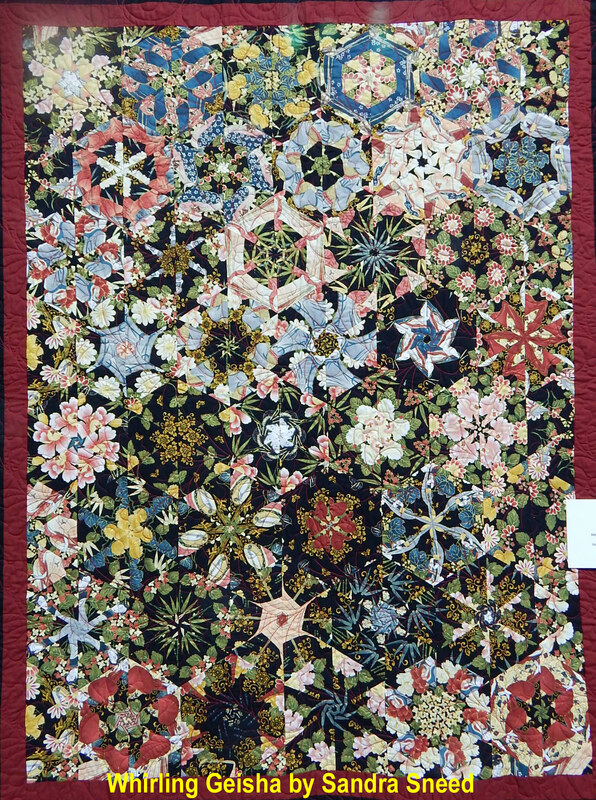 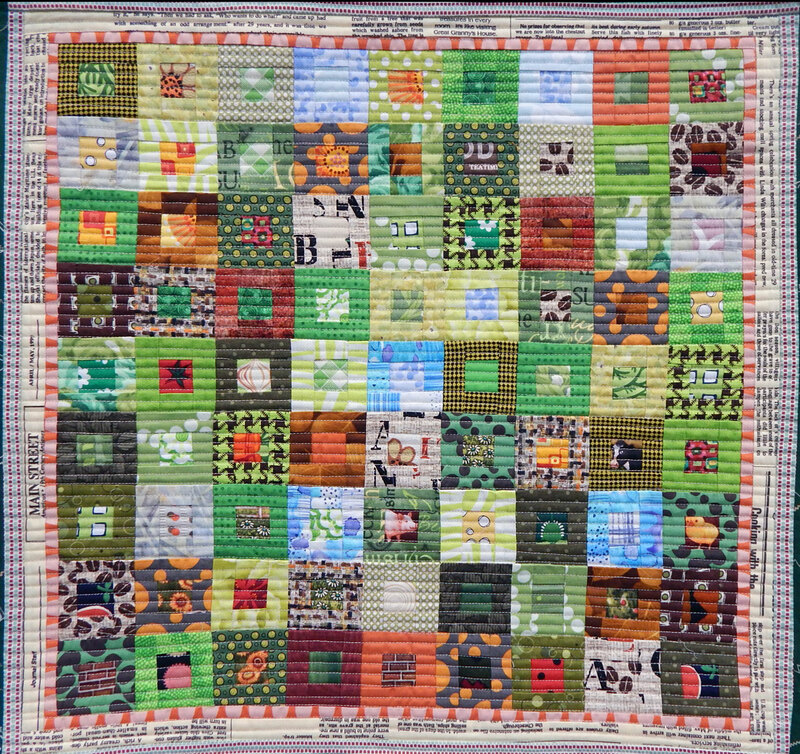 This is an opportunity to display the best needlework of many of our local quilters. 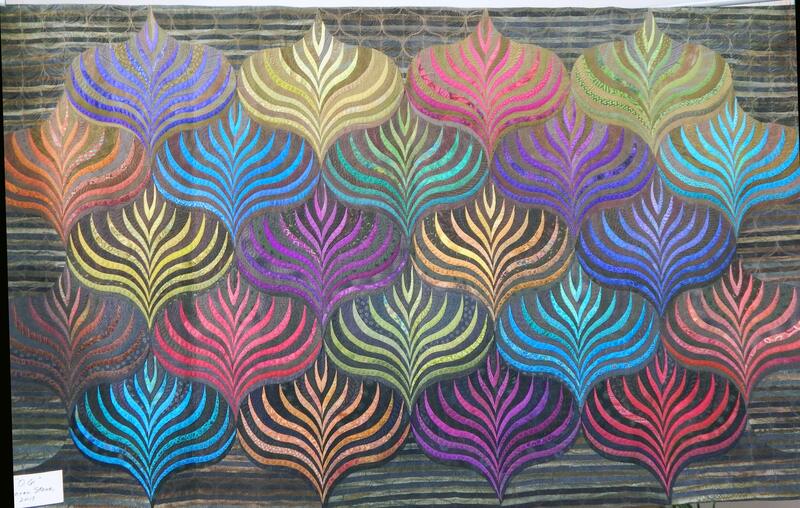 I’m starting with ten of the most elaborate ones. 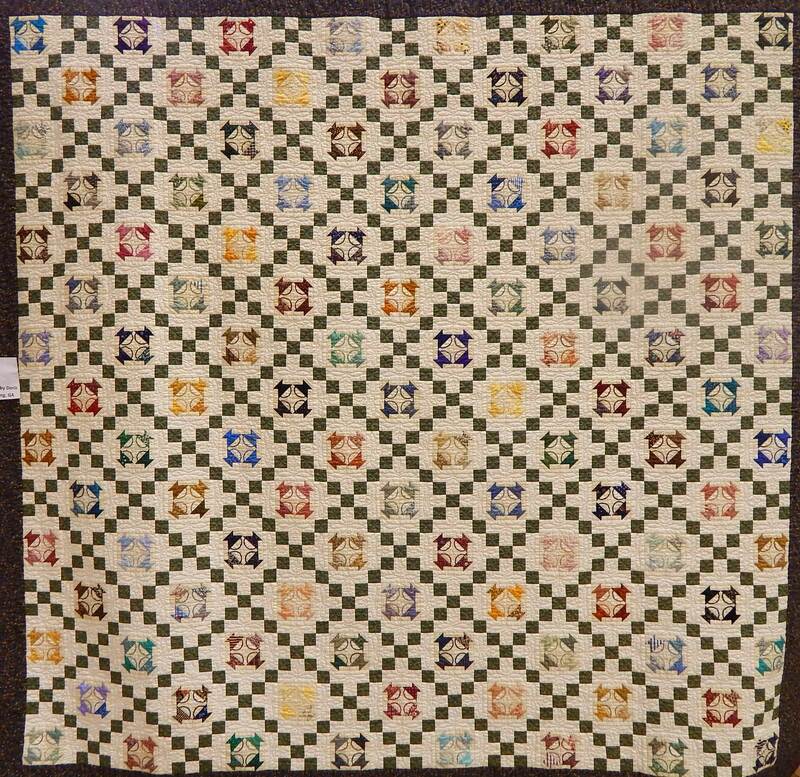 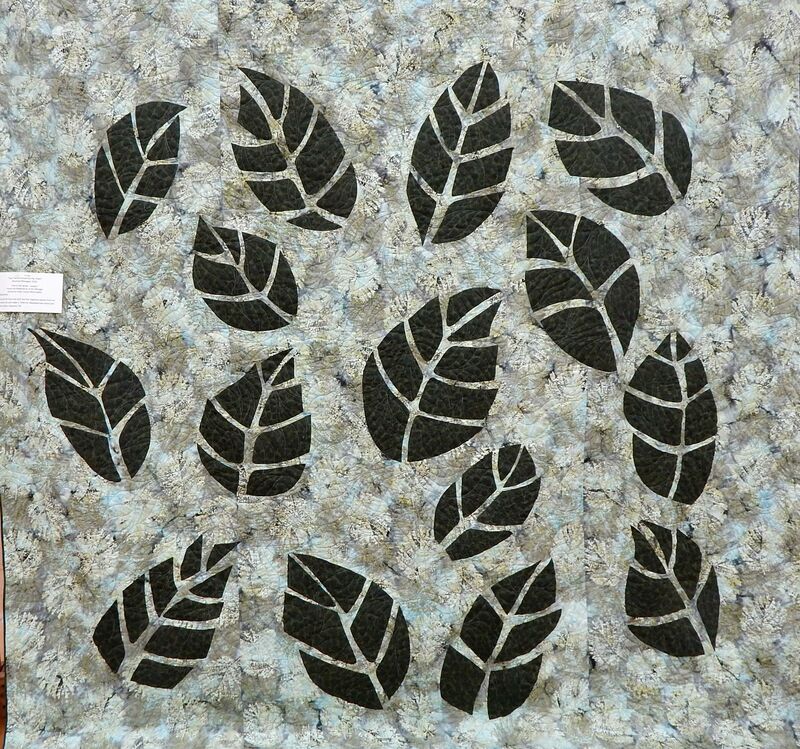 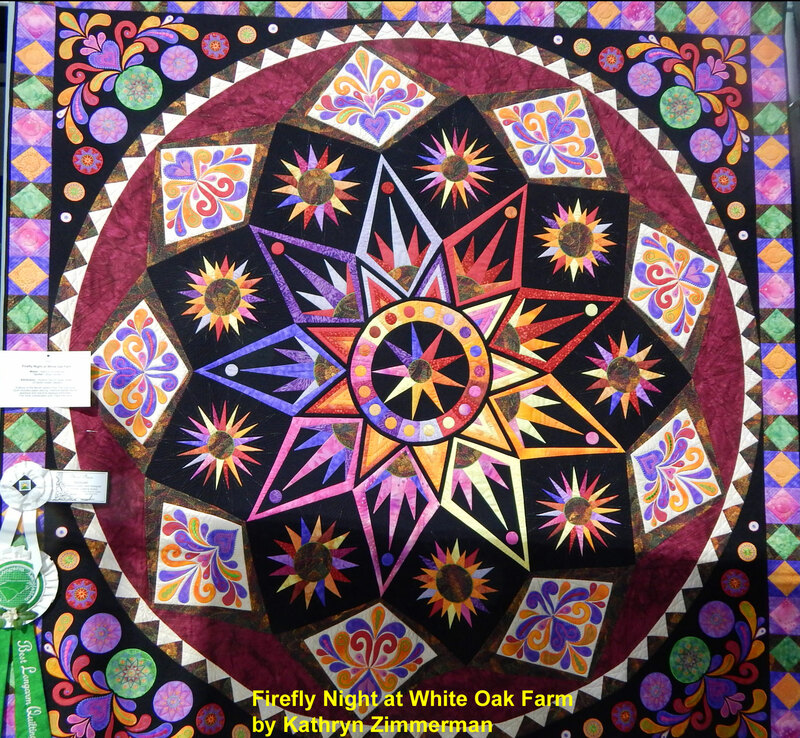 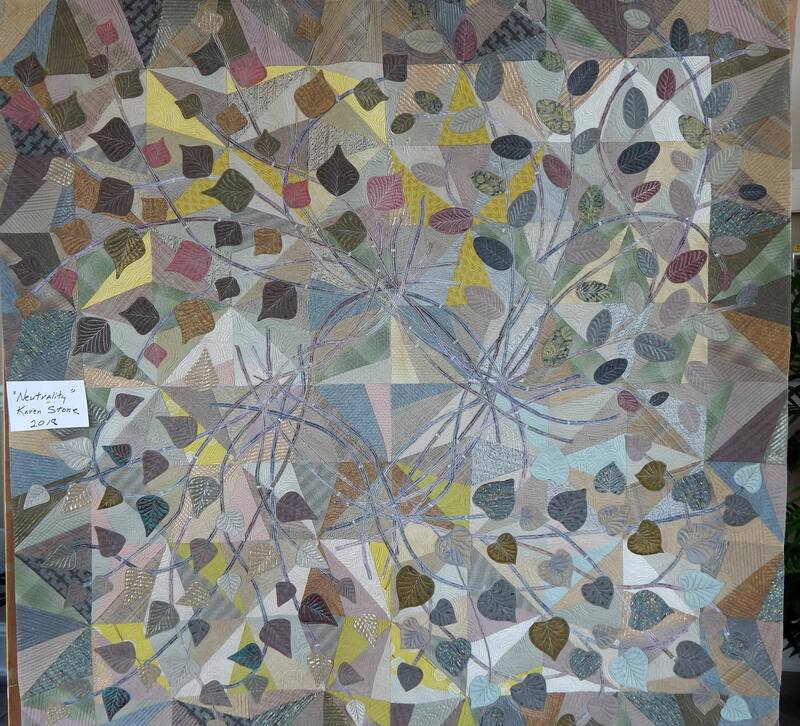 The quality of the pictures is limited by both the lighting in the hall and the arrangement of quilts in 3-sided cul-de-sacs, the way it is done at AQS as well. 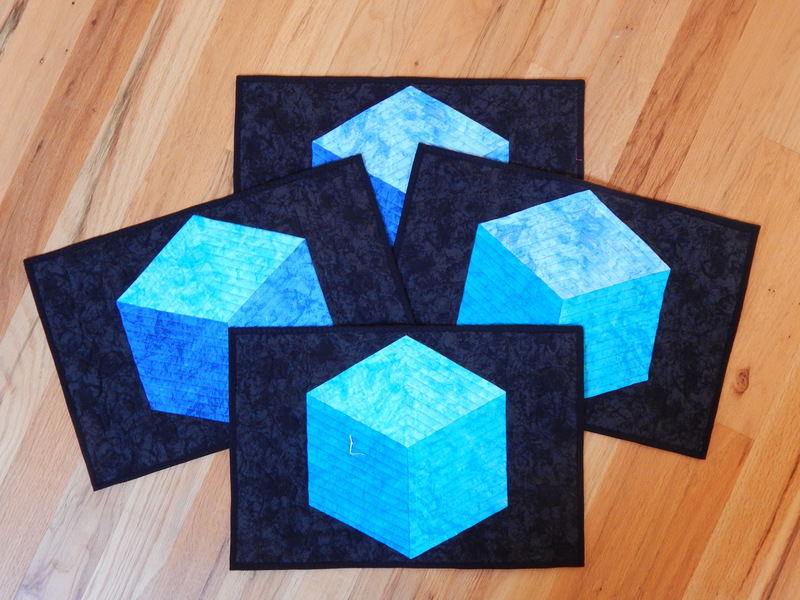 However, it is obvious that a lot of work went into these! 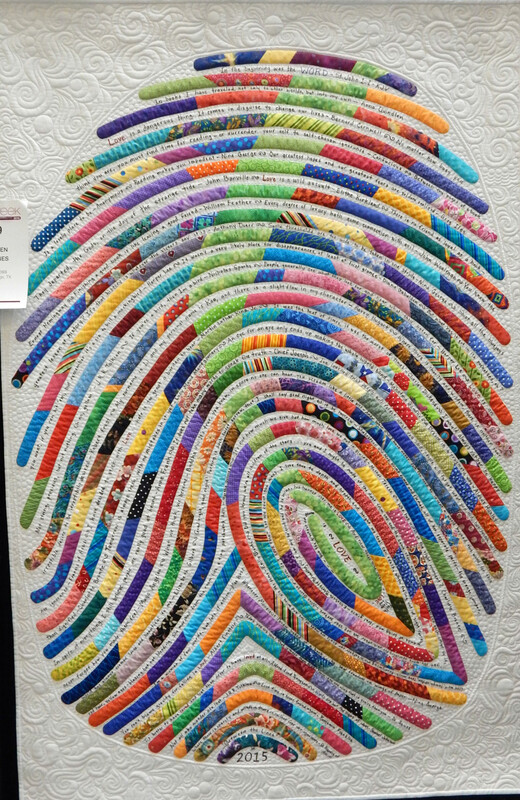 I’ve always meant to make one of these! 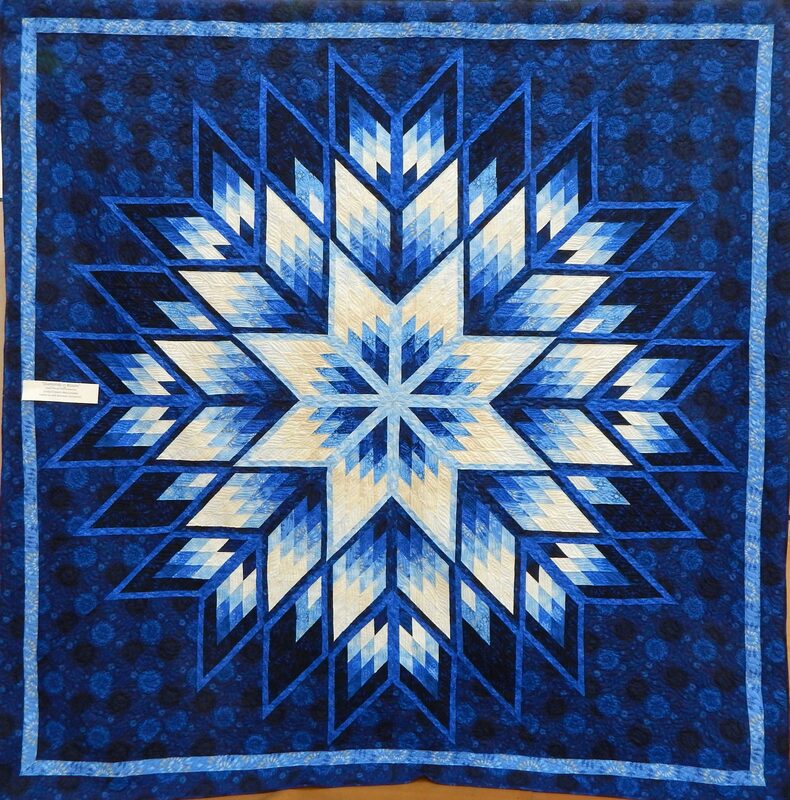 Though it is traditional, this is one of my favorites! 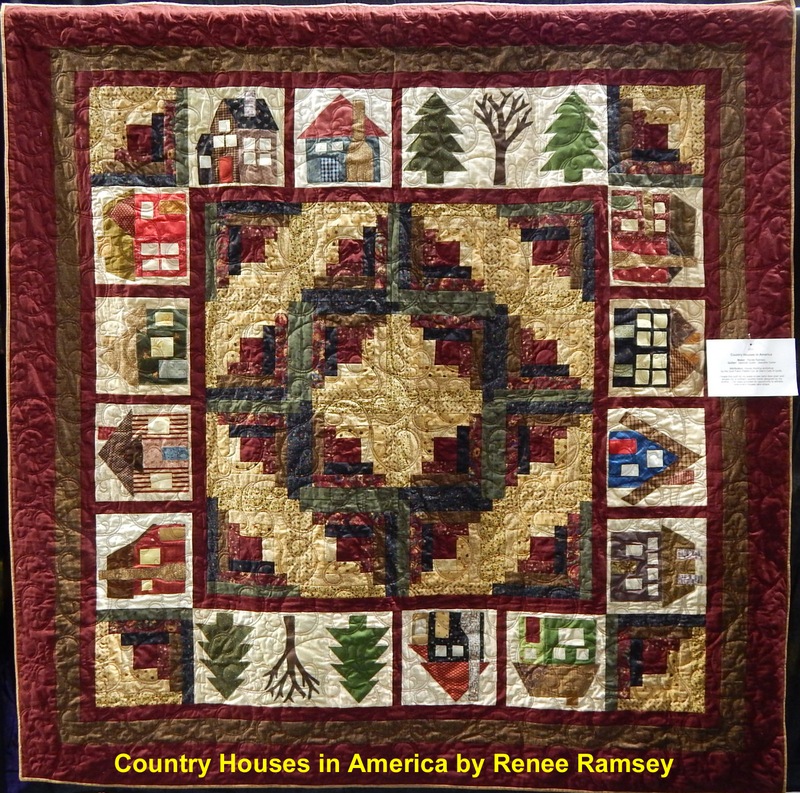 Love the houses and trees!